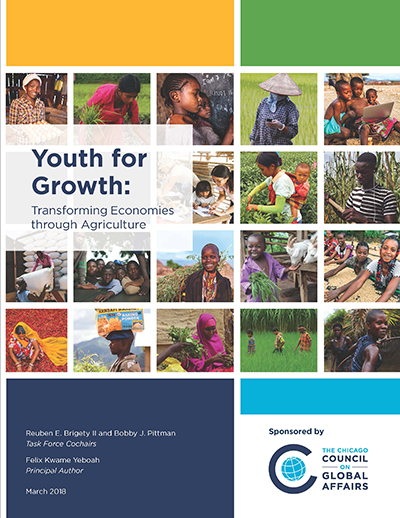 Surging youth populations can fuel tremendous agricultural growth that will impact the global economy, but, if underemployed, they present a risk. By 2050, Africa’s population will double, with 1 billion projected to be under 18 years old, and many others regions are experiencing similar trends. How can we harness the potential of this promising demographic to secure economic growth and stability? Global leaders, innovators, disruptors, and trailblazers are shaping the future of food and agriculture. Attend this year’s symposium to learn why this transformative moment is crucial to global food security and stability. The 2018 symposium was a two-day event. Please note space at these sessions is limited, we urge you to register at your earliest convenience. 2017 will go down in history as a record-breaking year for natural disasters: Puerto Rico experienced the longest blackout from a hurricane, California suffered its deadliest wildfires, and Bangladesh was hit by one of the deadliest monsoon rain and flooding, and Cape Town is expected to run out of water by April. Last year the world has incurred over $6 billion in damages from weather-related emergencies, each with a direct link to climate change. As the world attempts to recover, we must examine the increasing pressures on our planet and take a closer look at the social, environmental and economic impacts. And with agriculture consuming 70 percent of fresh water and demand for food putting pressures on producers to produce more with less, it sits at the center of this unfolding story. How can we manage supply chains in coming decades to both nourish and preserve the planet from the consequences of shifting diets and resource consumption that threaten our environment, biodiversity and health? The nexus of health, environment and food requires careful coordination for large-scale transformation and sustainable systems. Join this discussion to learn more about what is being done to address these global challenges and the cross-sector collaborations and innovative solutions underway. Each of us has a story of a mentor that has changed the course of our lives as young people. As we speak about the coming generation of young people poised to pursue opportunity, what has inspired and unlocked potential in leaders across sectors? As we listen to their stories, what can we learn from how different mediums shape our stories and transmit crucial messages at a scale to achieve impact? Note: this is an interactive session and attendees are encouraged to share their own personal stories in response to the theme. Where many might see a challenge or a hurdle, an entrepreneur will see an opportunity. Emerging economies face strong challenges in many sectors, including food and agriculture, but they also hold the most promise for innovation and present tremendous opportunity for entrepreneurs and investors to solve problems and garner returns. India’s growth rate was 6.5 percent in the last fiscal year, and they now have the third largest number of incubators and accelerators. Africa is one of the youngest and fastest growing continents, which could make for fertile ground for social entrepreneurship among young innovators if the environment is right. What’s the right blend of investment in financial and human capital, and supportive startup infrastructure like incubators to nourish the next generation of entrepreneurs? What would it take for them to see the opportunity in the food and agriculture space? The effects of global trends like unprecedented population growth and climate change have direct and personal effects on our daily rituals, including our meals. From pea-based burger patties to cassava bread, the food on our plates--and the journey it makes to get there--are undergoing significant changes. How do world-class chefs influence public attitudes and how can they join forces with leaders in the private sector, international agencies, NGOs, and civil society to tackle the food system’s most pressing challenges? How can we preserve tradition and improve livelihoods as tastes and consumer demands evolve? In what way will nutrition, affordability, culture, and sustainability shape what we eat? Please note the agenda timing and content is subject to change. The world is about to go through an unprecedented demographic shift: the global population is projected to reach 9.8 billion by mid-century, and much of this growth is expected in low-and middle-income countries primarily in Africa and Asia. This presents a tremendous opportunity to reap a demographic dividend and secure youth livelihoods. Youth employment is relevant to global food security and stability and should be renewed as a centerpiece of foreign policy. 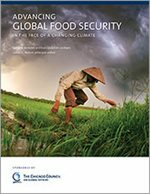 This overview will review the critical pillars of action that will advance food security through policy and through thoughtful action by the private sector, research community, and civil society. Youth inclusive policy-making is at the forefront of the G7, G20, and African Union agendas. Governments recognize the potential opportunities and threats that their large youth populations pose in the face of high unemployment. But many also see the potential for this population to transform the agrifood sector, spur broader economic growth, and secure the stability of a growing middle class. Are the voices of young people being heard in the policy development process? What is being done to leverage the unique potential of youth to prepare for future jobs and sustainable futures? What policies, innovations and investments are needed to ensure food and nutrition security? Young people constitute a growing share of the world’s labor force, especially in emerging economies. But the nature of work and the skills needed to succeed are shifting as they join the world of work. It’s been proven that if young people are equipped with quality education and necessary training and skills, they are a key asset for social and economic transformation. Yet, there is a lack of quality education or relevant training and necessary skills. What human capital development investments are necessary? And how can we empower and prepare youth for the labor market? Why is girls’ education essential to stimulating job creation and economic growth? What do Audrey Hepburn, Angelina Jolie, and David Beckham have in common? They have each used their celebrity to champion change and social good. Join Mumford & Sons founding member, Ben Lovett and Sunnylands President, David Lane to learn how they are taking the stage to engage youth and inspire action for social impact. Increasingly, private sector leaders are developing new tools, collaboration platforms and partnership models to unlock potential in the growing food systems in emerging markets. From large scale multinationals and investors to small and medium enterprise, unusual and at times, unprecedented partnerships are happening to address problems that might be impossible if tackled by one company alone. What are the keys to reducing the risks, catalyzing deals, and creating an overall investment climate that focuses on inclusive growth as well as the bottom line? What critical roles are NGOs and public institutions playing to unlock breakthroughs and how are the attitudes and approach of young people likely to influence the trajectory of sustainable business in the decades to come? Note: tune in to the Council's Facebook for exclusive digital sessions during this time. Over the past few decades, digital technologies have revolutionized the way we work and live. From mobile money transfers, to platforms that share weather information and market prices, mobile technology is transforming economies. And in rural areas, the mobile phone is having the same profound impact on farmers, from better market access to identifying dangerous pests or capturing basic production data. Yet, digital technology is far from a panacea. There are challenges- unequal or unaffordable access to internet, intermittent connectivity, a mismatch between services and needs, and digital literacy are just a few. 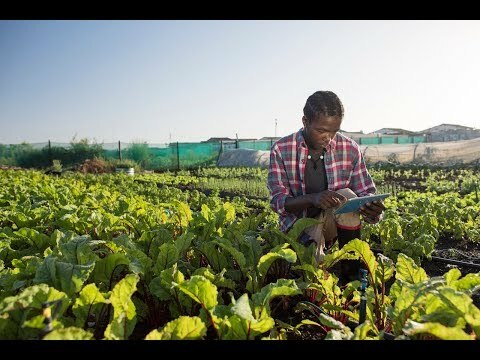 How are youth using digital technology as a solution for unemployment and how can it be further leveraged to accelerate agricultural opportunity and transformation? What needs to be done by both the public and private sector to help digital technology to fulfill its promise as a catalyst for innovation and entrepreneurship? How critical will digital technology be to employment in the agrifood sector be and to the future of employment overall? 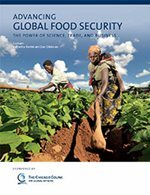 As we head into the second quarter of the twenty-first century, global food security and youth livelihood opportunities are facing a series of unprecedented threats: climate variability, land scarcity, and soil degradation, mass migration, water scarcity and rising rates of non-communicable diseases. How are these megatrends transforming our food systems and economies? Do we understand how they threaten food insecurity and how this also impacts global peace and stability? What policies and investments are needed to alter the course of sustainable development in the face of these colliding challenges? At the turn of the century, it was young farmers that drove agricultural production as early adopters of new seeds and farming techniques in corn clubs across the US. In the second half of the century, American agriculture continued that legacy through the creation of institutionalized support for agricultural education models in both 4-H and Future Farmers of America. Despite recognition that engaging youth is critical for the future of agriculture, the age of American farmers and ranchers, on average, continues to rise. How can we ensure that we are building youth-inclusive agricultural communities in the United States? How can we take those best practices, honed for over a century, and help implement and support programs abroad? What vehicles can we use to ensure that the United States continues to disseminate our agricultural knowledge, research and technology to smallholder communities internationally, while also taking lessons from abroad to help reach those young and vulnerable populations at home? How do young people in countries projected to be most impacted by rising youth populations perceive the situation and the discourse about them? What opportunities do they see in agriculture, rural areas and beyond? Hear first-hand insights from rising leaders in the food and agriculture sector and members of our 2018 next generation delegation as they share perspectives on the current realities from their vantage point. As natural adopters of new innovations and changing technologies, young people are primed to usher in agriculture’s digital revolution. The United States must continue its legacy of leading the efforts to end global hunger and malnutrition government—in partnership with national governments, the private sector, and civil society—to develop a youth-inclusive agricultural transformation agenda. Explore the interactive. Kunlé Adeyemi is an architect, designer, and urban researcher. He is the founder/principal of NLÉ, an architecture, design, and urbanism practice he founded in 2010 which focuses on developing cities and communities. Adeyemi’s notable works include Makoko Floating School, an innovative prototype floating structure located on the lagoon heart of Lagos. This acclaimed project is part of an extensive research project African Water Cities developed by NLÉ. Before founding NLÉ, Adeyemi worked for OMA, where he led the design, development, and execution of high profile projects such as the Shenzhen Stock Exchange tower in China, the Qatar National Library, and the Prada Transformer in Seoul. 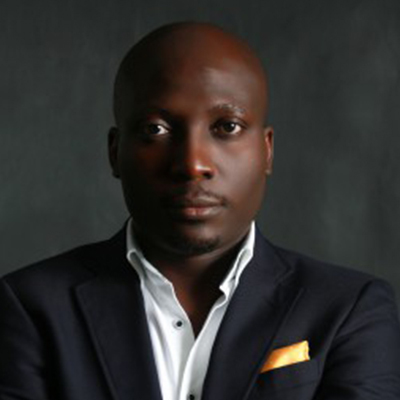 Adeyemi is an international speaker and thought leader serving as jurors for the 2014 AIA award and 2016 RIBA international Prize. Adeyemi is also a 2017 Aga Khan Design Critic in Architecture at Harvard University Graduate School of Design. He holds an honorary doctorate degree in Architecture from Hasselt University, Belgium. 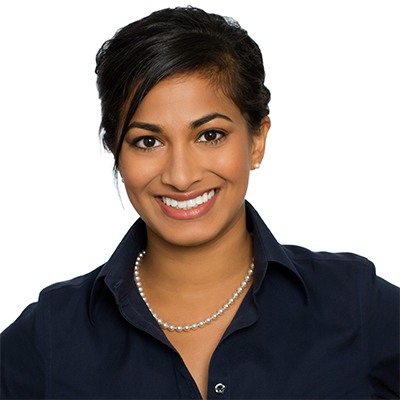 Joy Basu is the Rise Fund’s impact sector lead for food and agriculture. Prior to joining TPG, Basu was a consultant at McKinsey & Company. While there, she focused on agricultural development, working with businesses, development banks, and foundations to improve agricultural productivity in emerging markets. Basu served as project manager to the World Economic Forum’s New Vision for Agriculture, a collaboration amongst multinational companies to improve the social, environmental, and economic impact delivered by the private-sector. Basu also worked for the Agricultural Transformation Agency in Addis Ababa, a special-delivery unit focused on better enabling the agricultural sector as a driver of economic growth and social opportunity. 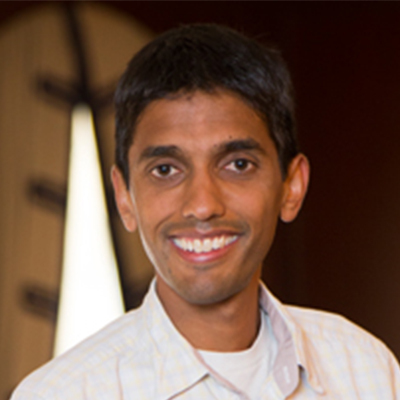 Basu earned a JD and MBA from Stanford University with a certificate in public management and social innovation. 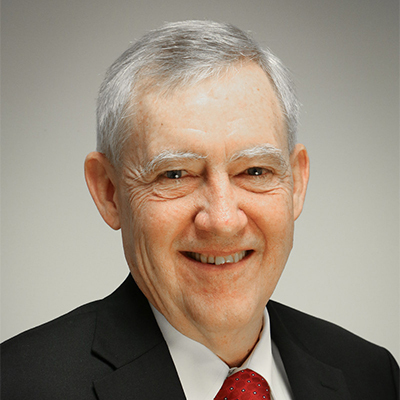 Douglas Bereuter is president emeritus of the Asia Foundation, a nongovernmental development organization he led for more than six years following his 26-year service as a member of the US House of Representatives. During his congressional career, he was a leading member of the House International Relations Committee, where he served as vice chairman for six years, chaired the Asia-Pacific Subcommittee and later the Europe Subcommittee, had long tenures on its subcommittees on Economic Policy and Trade and Human Rights, and was president of the NATO Parliamentary Assembly. He also served on the House Financial Services Committee for 23 years and on the House Permanent Select Committee on Intelligence, retiring as its vice chairman. 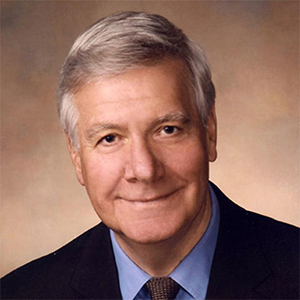 He served as an infantry and intelligence officer in the US Army and served one four-year term as Nebraska state senator. Bereuter has a master’s degrees from Harvard University in both city planning and public administration. 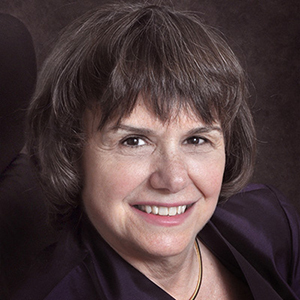 Catherine Bertini is a distinguished fellow of global food and agriculture at the Chicago Council on Global Affairs. She also chairs the Council’s Girls in Rural Economies projects. For five years, she cochaired the Council’s Global Food and Agriculture program, and she cochaired the Council’s work on domestic agriculture during two Farm Bill seasons. Previously, she was executive director of the United Nations World Food Program (1992 to 2002), the world’s largest international humanitarian agency. She was awarded the World Food Prize (WFP) in 2003 for her groundbreaking work with WFP. She served as UN Under Secretary General for Management and as the UN Security Coordinator (2003 to 2005). She taught graduate students at the Maxwell School at Syracuse University and the Ford School at the University of Michigan, and was a fellow at the Kennedy School at Harvard University. Bertini served in the US government as USDA assistant secretary for food and consumer services, nominated by President George H.W. 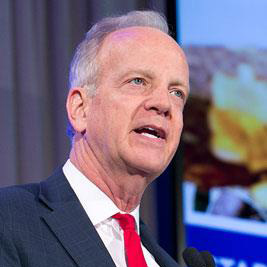 Bush, as director of the office of family assistance at DHHS, and as an appointee of both Presidents George W. Bush and Barack Obama to the board of International Food and Agricultural Development (BIFAD). She was part of the early agriculture team at the Bill and Melinda Gates Foundation. Currently, she is a Rockefeller Foundation Fellow. 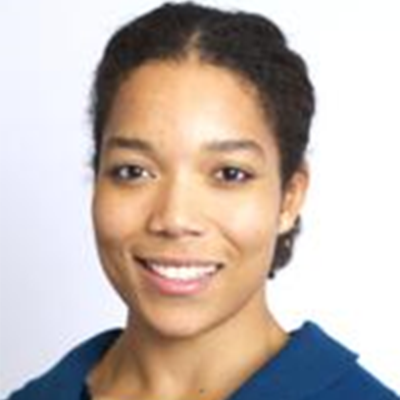 Alesha Black is the director of the Global Food and Agriculture Program at the Chicago Council on Global Affairs. Black joined the Council from the Bill & Melinda Gates Foundation, where she focused on the foundation’s strategic partnerships for agricultural development. She worked at the Bill & Melinda Gates Foundation from 2007 to 2015, where she coordinated foundation partnership with China, Brazil, and the United States, as well as UN agencies working to support smallholder farmers. Before that, she managed a portfolio of investments working to connect smallholder farmers to better market access opportunities in sub-Saharan Africa. Black also co-led important activities to link nutrition and agriculture programs at the foundation and contributed to numerous strategic projects at the beginning of the Agricultural Development program, including the first Gender Impact Strategy, initial impact measurement framework, and early foundation advocacy activities to raise the profile of smallholder agriculture. 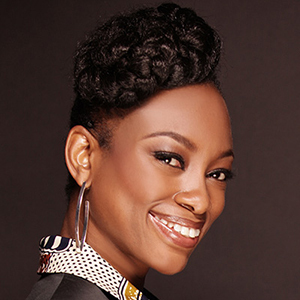 Black received her bachelor’s in journalism and psychology from the University of Arizona and her MA in international relations from the Maxwell School at Syracuse University. 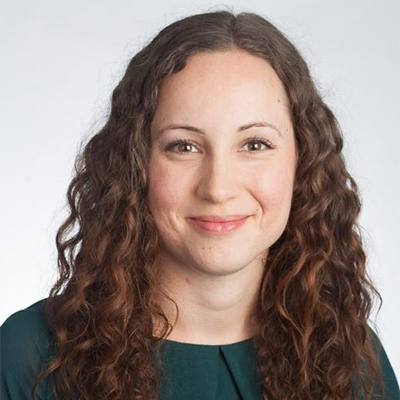 Helena Bottemiller Evich is a senior food and agriculture reporter for POLITICO Pro. 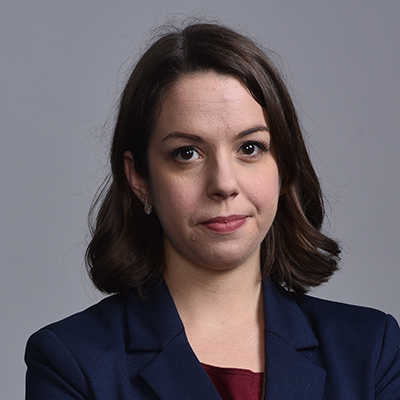 Before joining POLITICO, she spent four years reporting on food politics and policy at Food Safety News, where she covered Congress, the Food and Drug Administration and the US Department of Agriculture. Bottemiller Evich’s work has also appeared in the Columbia Journalism Review and on NBC News. Her reporting has taken her to the Louisiana coast during the Gulf oil spill, Arizona lettuce fields, North Carolina hog farms, and the occasional presidential turkey pardoning. A native of Washington state and an alumna of Claremont McKenna College, she now lives in Washington, DC, with her husband. Howarth “Howdy” Bouis is the founder and interim CEO of HarvestPlus. He was awarded the 2016 World Food Prize for his pioneering work that helped take biofortification from an idea in the 1990’s to today when over 26 million households benefit from biofortified crops globally. Bouis received his BA in economics from Stanford University and his MA and PhD from Stanford University's Food Research Institute. 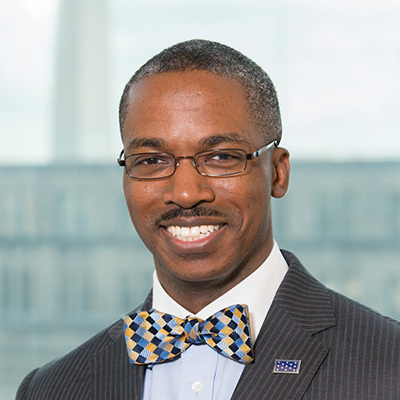 Reuben E. Brigety has served as dean of the Elliott School of International Affairs at George Washington University (GW) since October 2015. Prior to joining GW, Brigety served as representative of the United States to the African Union and permanent representative of the United States to the UN Economic Commission of Africa. 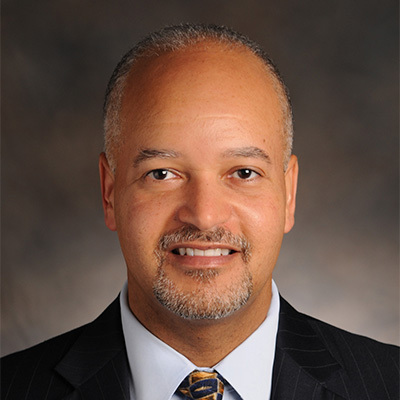 From December 2009 to November 2011, Ambassador Brigety served as deputy assistant secretary of state in the Bureau of African Affairs and as deputy assistant secretary of state in the Bureau of Population, Refugees, and Migration. Prior to that, Brigety served as a senior advisor for development and security to the US Central Command Assessment Team in Washington, DC and in Doha, Qatar. A 1995 distinguished midshipman graduate of the US Naval Academy, Brigety earned his MPhil and PhD in international relations from the University of Cambridge. 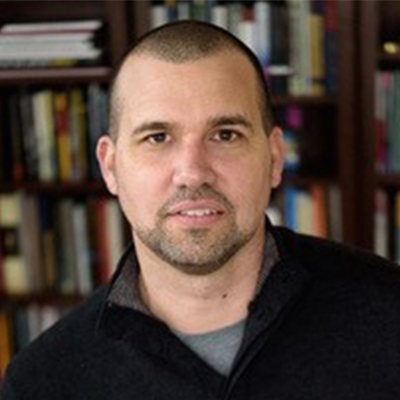 Rob Burnet is CEO of Well Told Story, a two-time Emmy Award-winning media research and production company based in Kenya and Tanzania that uses insight, data, and multi-platform media to create social and economic value. Well Told Story’s flagship youth media brand Shujaaz reaches over six million young people across Kenya and Tanzania. Rooted in research-driven content and delivered at huge scale across analogue and interactive digital channels, Shujaaz generates informed new national discourse, norm and behavior change in health, governance, and livelihoods. Its impact is tracked and monitored through rigorous academic study. Burnet has been based in East Africa for more than 20 years. Before founding Well Told Story in 2009, he worked as a program officer with the Ford Foundation, a public interest television producer, and a curator of contemporary art. 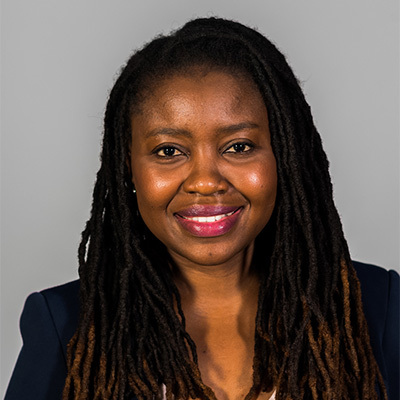 Ariane Campbell is an associate program manager with the Youth Livelihoods team at the Mastercard Foundation. Since joining in 2014, she has supported several projects focused on youth employment and entrepreneurship in agriculture. Campbell was also a co-organizer of the Foundation’s 2017 Young Africa Works Summit which focused on youth driving agricultural transformation in Africa. She previously worked in international education for six years teaching and then working in recruitment. Campbell holds a BA in international development from the University of Guelph and an MA in immigration and settlement studies from Ryerson University. Margaret Catley-Carlson has served for over 20+ years on multiple boards of organizations with a focus on improved water resource management, agricultural productivity, and rural development. 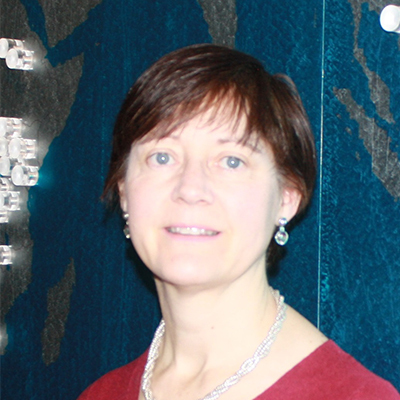 She currently serves as PAC chair of the International Commission on Integrated Mountain Development (ICIMOD), vice chair Canadian Water Network Board. Catley-Carlson is also a member of the Syngenta Foundation for Sustainable Development, International Fertilizer Development Council, International Food Policy Research Institute (IFPRI), and Thinker in Residence for Belgian Academy of Sciences. She has also served as chair for the Global Water Partnership and was a member of the Council of Advisors of the World Food Prize, Library of Alexandria in Egypt, and the Robert Daughterly Institute on Water for Food. 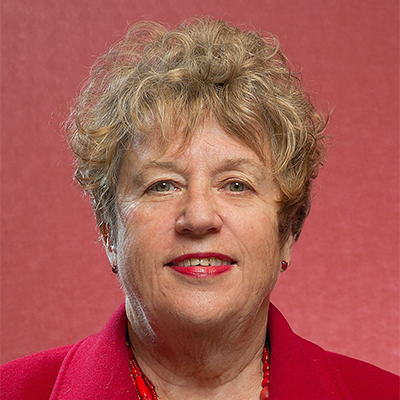 Catley-Carlson has ten honorary degrees and is an Officer of the Order of Canada. 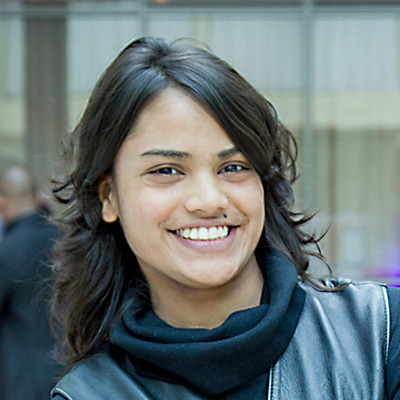 Jessica Francisca Colaço is a TED fellow and cofounder of Brave Venture Labs. Based in Nairobi, Kenya, Brave is a talent sourcing company which focuses on building talent pipelines of people for full-time tech roles in emerging cities across Africa. 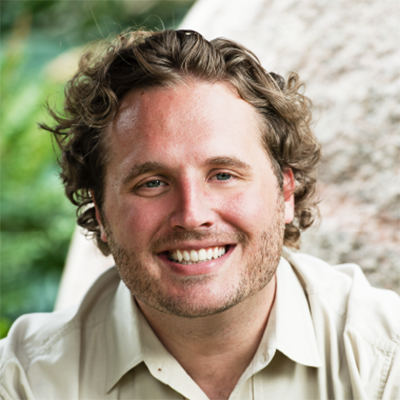 Colaço cofounded iHub with Erik Hersman in 2010 and served in various leadership positions including director of partnerships and community and founding manager. In 2014, Colaço served as the ACM-W Nairobi chapter chair and was part of the Department of International Development’s Digital Advisory Panel team as a member and advisor in 2015. Colaço currently serves a Blackbox Connect ambassador and advisor to the Switch Point Conference. She was named one of the top 40 women under 40 years in Kenya’s business scene by Business Daily on 2009, 2011 and 2012. Colaço holds a BS in computer science from the School of Computing and Informatics at the University of Nairobi. Bob Corker is in his second term as US senator for Tennessee and serves as chairman of the foreign relations committee. He is also an active member of the banking committee and the budget committee. 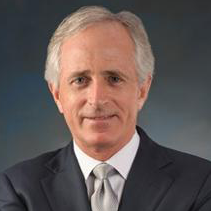 Corker was Tennessee’s commissioner of finance and mayor of Chattanooga before being elected to the Senate in 2006, but he spent most of his life in business. It’s that results-driven businessman’s perspective that allowed him to make a mark early in his Senate tenure and become a pragmatic thought leader on fiscal, financial, and foreign relations issues. As an advocate for using limited foreign aid dollars more efficiently to advance US interests, Senator Corker has led efforts to modernize emergency food assistance programs in a way that will eliminate waste and inefficiencies to help more people in need. 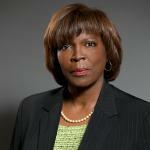 Ertharin Cousin is a distinguished fellow, global food and agriculture at the Chicago Council on Global Affairs. She previously served as executive director of the World Food Programme from 2012 until 2017. In 2009, Cousin was nominated by the president and confirmed by the Senate as the US ambassador to the UN Agencies for Food and Agriculture in Rome. In this role, Cousin served as the US representative for all food, agriculture, and nutrition-related issues. Cousin helped identify and catalyze US government investment in food security and nutrition activities supported by the USAID Feed the Future program. A Chicago native, Cousin is a graduate of the University of Illinois at Chicago; the University of Georgia Law School, and the University of Chicago Executive Management Finance for Non-Financial Executives program. Ivo H. Daalder is president of the Chicago Council on Global Affairs. He served as the US ambassador to NATO from 2009-2013. 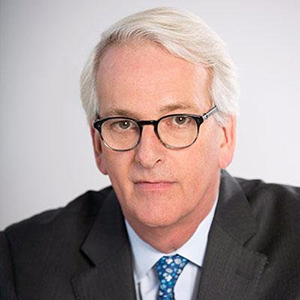 Prior to his appointment as ambassador to NATO, Daalder was a senior fellow in foreign policy studies at the Brookings Institution, specializing in American foreign policy, European security and transatlantic relations, and national security affairs. Before joining Brookings in 1998, he was an associate professor at the University of Maryland’s School of Public Policy and director of research at its Center for International and Security Studies. He also served as director for European affairs on President Bill Clinton’s National Security Council staff from 1995 to 1997. Ambassador Daalder was educated at the universities of Kent, Oxford, and Georgetown, and received his PhD in political science from the Massachusetts Institute of Technology. Mitchell Davis is the executive vice president of the James Beard Foundation (JBF), a cookbook author, and a food journalist. With the Beard Foundation for almost 25 years, Davis has created and overseen many of the organization’s initiatives, including the annual JBF Food Summit on sustainability and public health and the JBF Women’s Entrepreneurial Leadership fellowship. In 2013, Davis led the team to create the USA Pavilion at the World Expo Milano 2015 for the US Department of State. In addition to his work at JBF, he holds a chair on the academy of the World’s 50 Best Restaurants ranking program, is the author of five cookbooks, and holds a PhD in food studies from New York University. Fabrice De Clerck is the science director of the EAT Foundation, a collaboration between the Stockholm Resilience Center (SRC), the Stordalen Foundation, and the Wellcome Trust. He leads EAT’s scientific research which focuses on the role of food (diet) in ensuring environmental sustainability, human health, and dignity in work. At SRC, he serves on the leadership of the food systems theme and is responsible for coordinating EAT/SRC engagements. De Clerck’s research focuses on food as the “gateway drug” to sustainability and on how changes in the human diet can be leveraged to support food systems. He is a contributing author to both the Africa and global assessments of the intergovernmental panel on biodiversity and ecosystem services. De Clerck also serves as a contributing author to the Economics of Ecosystems and Biodiversity AgriFood interim reports. He earned his PhD in geography and ecology from the University of California Davis. 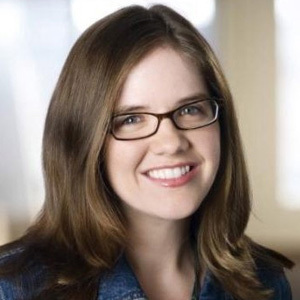 Caitlin Dewey is the food policy writer for Wonkblog. She previously covered digital culture and technology at the Post. 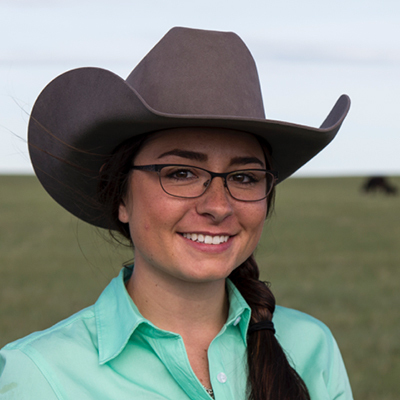 Kelsey Ducheneaux is the fourth-generation farmer on her family ranch on the Cheyenne River Sioux Reservation and works with the nonprofit organization, Project H3LP!, to give back to her community. Coupled with her passion for engaging the next generation of leaders, the training and mentorship she received from the Gates Millennium Scholarship Program led her to the Intertribal Agriculture Council. Under Ducheneaux’s guidance, youth programming has expanded to encompass scholarship preparation while delivering detailed curriculum supporting the sustainable development of agriculture systems to improve Indian Country. In just three years, Ducheneaux worked with over 500 youth from more than 150 tribal nations. They are now leading movements in their own communities while shaping agriculture and food policy on a national level. 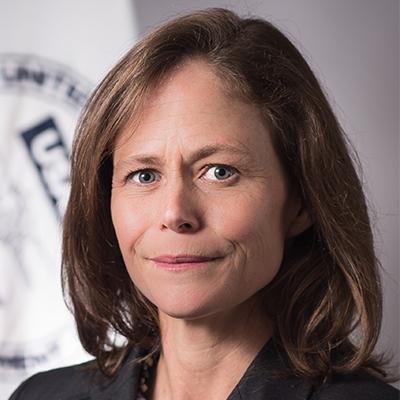 Beth Dunford is the assistant to the administrator in the U.S. Agency for International Development’s (USAID’s) Bureau for Food Security, as well as the deputy coordinator for development for Feed the Future, the U.S. Government’s global hunger and food security initiative. In this dual role, she coordinates implementation of Feed the Future across the US Government, oversees its execution, reports on results, and leads engagement with the external community. She also oversees USAID’s technical and regional expertise on food security. A career Foreign Service Officer, Dunford previously served as director of USAID’s Mission in Nepal, overseeing the country’s massive earthquake recovery and reconstruction effort. 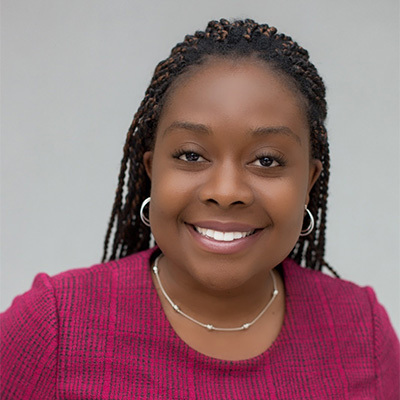 She has also served in Ethiopia and Afghanistan, where she directed agriculture, resilience, and emergency food assistance programs, as well as in a number of roles in D.C. She has a bachelor’s degree from Northwestern University and a doctorate in sociology from Michigan State University. Zippy Duvall is a third-generation farmer from Georgia. 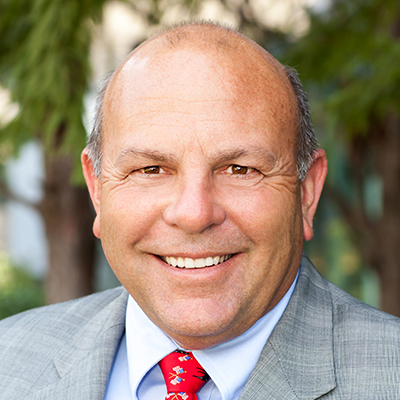 He has served as president of the American Farm Bureau Federation (AFBF) since January 2016. Prior to being elected AFBF president, Duvall served for nine years as president of the Georgia Farm Bureau. Duvall’s long leadership history in his home state includes service on the Georgia Farm Bureau Young Farmers Committee and Georgia Farm Bureau board of directors. Duvall was also recognized with several state appointments, including then-Georgia governor Sonny Perdue’s agricultural advisory committee and the Georgia Development Authority. Duvall’s service on the AFBF board of directors included roles on the Trade Advisory Committee, including several international trade missions, and on the Finance Committee. In 2017, Duvall was honored by the National 4-H Council as one of the founding luminaries, an exclusive group of accomplished and influential 4-H alumni. Donna Etiebet is a dedicated finance professional with over a decade of experience in both the investment banking and asset management industries. She is well versed in generating successful investment ideas supported with qualitative analysis and quantitative databases, and dealing on complex transactions with no margin for error. Prior to joining Babban Gona, Etiebet worked for the UK Institutional team at State Street Global Advisors, the third largest asset manager globally. Prior to this role, she worked at Bank of America Merrill Lynch for 5 years. In addition to her professional financial experiences, she pursued an international rowing career with the GB Rowing Team, qualifying the Women's Eight for the Rio Olympics and culminating in a gold World Championship medal in 2016. Etiebet holds an MA in biological anthropology from Cambridge University. Rikin Gandhi is the founder and CEO of Digital Green, a global development organization that empowers smallholder farmers to lift themselves out of poverty by harnessing the collective power of technology and grassroots-level partnerships. He began his career at Oracle, where he received patents for linguistic search algorithms that he helped develop. Later, he joined Microsoft Research India’s Technology for Emerging Markets team, where he researched ways to amplify the effectiveness of agricultural development globally. While traveling around India’s rural communities, Gandhi developed a passion for helping the country’s rural farmers. That passion then became his career: in 2006, he cofounded Digital Green. Gandhi holds an MS in aeronautical and astronautical space engineering from Massachusetts Institute of Technology, and a BS in computer science from Carnegie Mellon University. 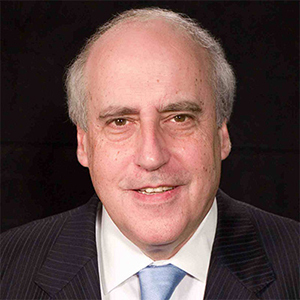 Dan Glickman is a distinguished fellow of the Global Food and Agriculture Program at the Chicago Council on Global Affairs. He is vice president of The Aspen Institute and executive director of The Aspen Institute Congressional Program. Glickman also serves as a senior fellow at the Bipartisan Policy Center where he is cochair of its Democracy Project. He chairs the Foundation for Food and Agriculture Research, created in the 2014 Farm Bill to fund new and innovative research projects in the areas of food and agriculture. Prior to joining The Aspen Institute, Glickman served as US Secretary of Agriculture in the Clinton Administration. He also represented the 4th Congressional district of Kansas for 18 years in the US House of Representatives, where he was very involved in federal farm policy of the House Agriculture Committee and also served on the House Judiciary Committee as a chairman of the House Permanent Select Committee on Intelligence. 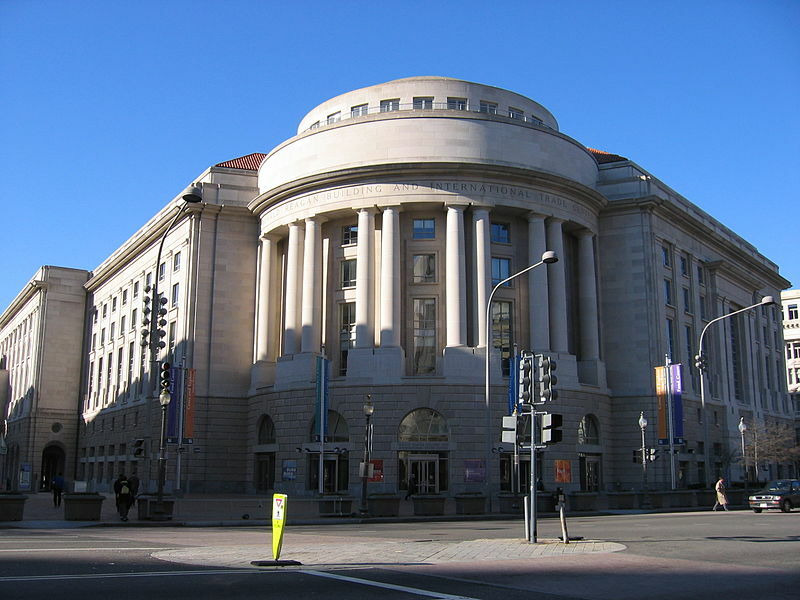 Glickman received his JD from the George Washington University. 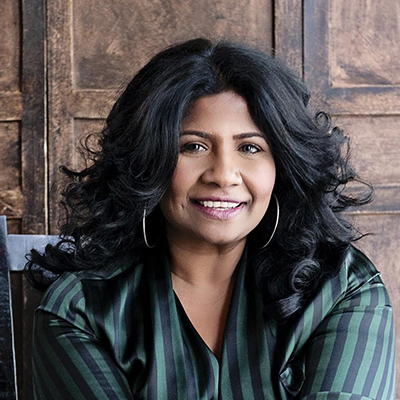 Asha Gomez is an award-winning chef and a published author. Gomez has been showcased in feature stories in The New York Times, The Wall Street Journal, Conde-Nast Traveler, and Atlanta Journal-Constitution. Her recipes have appeared in Food & Wine, Bon Appetit, Country Living, and Garden & Gun. In January 2012, Gomez launched Cardamom Hill Restaurant in Atlanta which became an instant success. The restaurant was named one of Bon Appetit’s 2012’s "50 Best New Restaurants" and was on the 2013 James Beard "Semi-Finalist List of 20 Best New Restaurants." In the summer of 2013, Gomez opened a new culinary event studio called “The Third Space”. Gomez is the author of the cookbook My Two Souths which was published in fall 2016. The book received rave reviews and won the Piglet Award for best cookbook. Gomez’s advocacy work includes serving as CARE Global Ambassador and working with the James Beard Advocacy Network. Christine Gould is the founder and CEO of the Thought for Food Foundation (TFF), an organization that engages and empowers the next generation of entrepreneurs and innovators tackling food and nutrition security. TFF catalyzes, supports, and funds new companies that are built by millennials around the world. 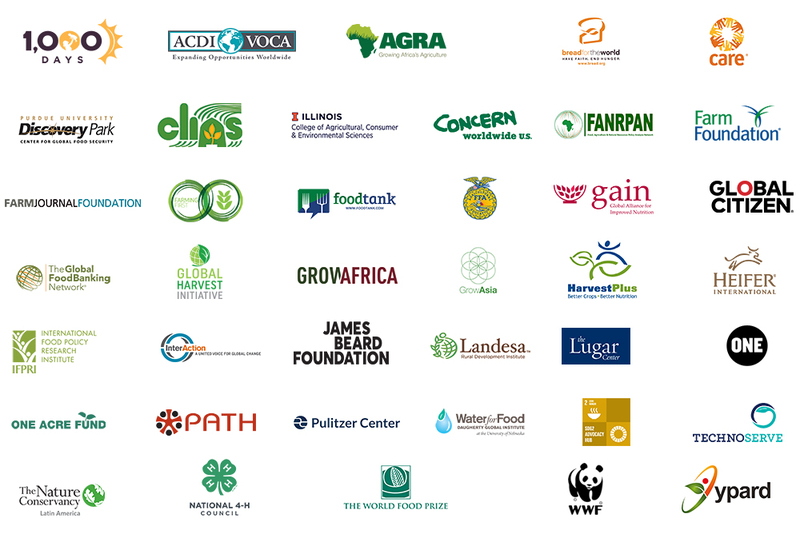 Working in partnership with major corporations, accelerators, and donors, TFF has built a movement of over 8,000 youth in over 130 countries and has helped create 37 impact-oriented startups that address food production, distribution, consumption, and waste through science, technology and business model breakthroughs. The annual TFF Global Summit brings together interdisciplinary leaders from science, art, entrepreneurship, policy, and design to cocreate future solutions. Gould holds an MPA with a concentration in science and technology policy from Columbia University. She sits on the Boards of Young Professionals in Ag Development and the Association for Vertical Farming and was selected as a founding member of the Ashoka League of Intrapreneurs. 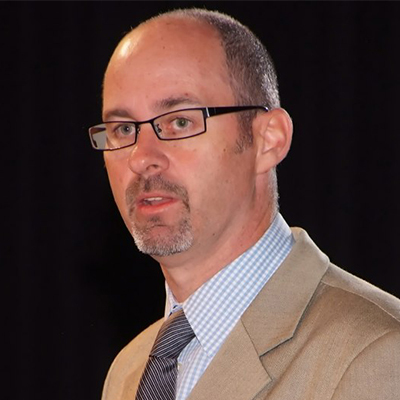 Caleb Harper is the principal investigator and director of the Open Agriculture (OpenAg) Initiative at the MIT Media Lab. He leads a diverse group of engineers, architects, and scientists in the exploration and development of the future food systems. His research focuses on control environment design, actuated sensing, control automation, and data-driven resource, energy, and biologic optimization. Harper is a National Geographic Explorer and a member of the World Economic Forum New Vision for Agriculture Transformation Leaders Network. His work has been featured by TIME, WIRED, The Economist, and TED. Prior to joining the Media Lab, Harper worked as an architect designing and developing data centers and semi-conductor fabrication facilities. Additionally, he has consulted with international development agencies including USAID, World Bank, Inter-American Development Bank, and the Delhi Development Authority on high-density urban development projects. 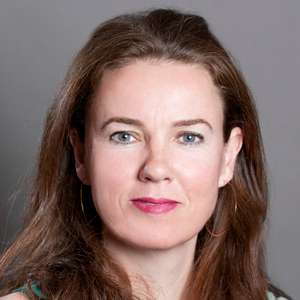 Tanja Havemann is the director and founder of Clarmondial, an independent advisory company that focuses on practical, profitable, and creative solutions for social and environmental businesses and their funders. The company delivers tailored advice, including investment structuring, strategy, and business development support. Clarmondial has played leading roles in developing innovative new financing initiatives for sustainable natural resource management, such as the Food Securities Fund and the Agrobiodiversity Index. 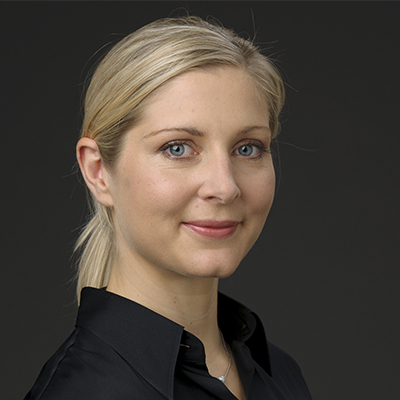 Havemann previously worked in an investments role at a leading green asset manager. She has degrees in environmental law and policy from the University of Kent, applied environmental economics from Imperial College London, and tropical environmental science from the University of Aberdeen. Havemann holds Danish and Swiss citizenship and was born and raised in Tanzania and Kenya. 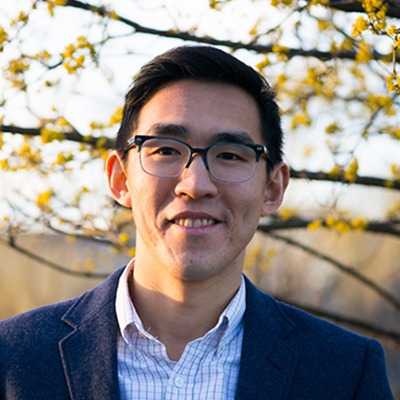 David Hong leads global policy strategy and engagement at One Acre Fund, a nonprofit social enterprise that supplies smallholder farmers with the tools and financing they need to grow their way out of hunger and poverty. Previously, Hong analyzed donor agricultural policies at the ONE Campaign and consulted on private sector agriculture investments at Oxfam America. He holds a master’s degree in international development and policy analysis from New York University and a bachelor’s degree in business administration and economics from the University of Delaware. Sarah Hunter heads up the public policy and government relations team for X (formerly Google X) based in Mountain View, California. X’s mission is to build and launch innovative new technology products to help make the world a radically better place. Some of X’s most well-known products include Waymo (self-driving cars), Project Wing (drones), and Project Loon (bringing internet access to remote places using stratospheric balloons). Hunter and her team work with governments and regulators around the world to build their knowledge of new technology and the role of policy and regulation in enabling it to grow. Prior to coming to California, Hunter ran Google's United Kingdom policy team for four years. 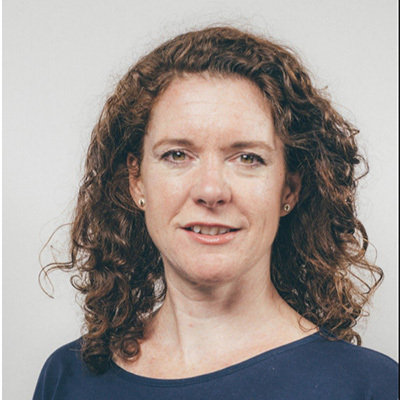 She served as senior policy adviser to Prime Minister Tony Blair in Downing Street for five years and built her policy expertise by working within the broadcasting and media sector for companies such as the BBC and Channel 4. 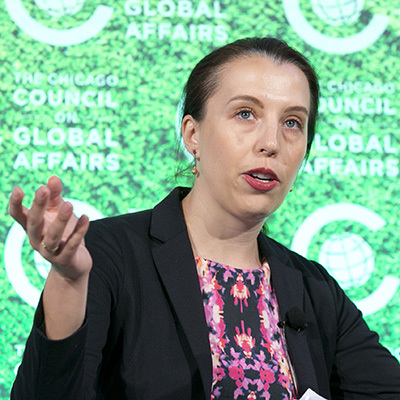 Niamh King is the vice president for programs and strategic content at the Chicago Council on Global Affairs, where she has worked since March 2007. Under her direction, the Programs team organizes over 200 events annually. This includes signature annual events such as the Chicago Forum on Global Cities, the Global Health and Development Symposium, and the Global Food Security Symposium. Prior to joining the Council, she held positions with Intel, the European Commission, FÁS, and the United Nations International Criminal Tribunal for the former Yugoslavia. King is a member of the board of directors of The America Ireland Fund Chicago Regional Advisory Board, the Women’s Board of the University of Chicago, the Chicago Project on Security & Threats, and the Japan America Society of Chicago. She earned a BA in international relations and history from the University of Colorado at Boulder and an MA in development studies from the Institute of Social Studies at Erasmus University in The Hague, Netherlands. Katharine Kreis is the director of strategic initiatives at PATH and is currently leading work in nutrition innovation. 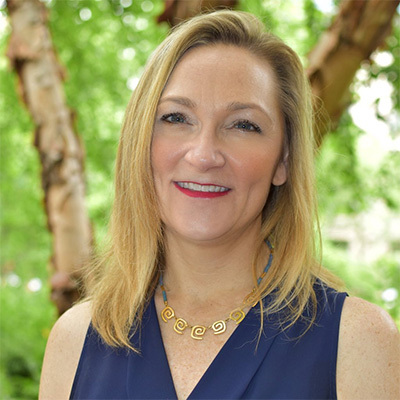 Kreis has an extensive background in global health and international development and previously held the position of director, strategic programs, at the Global Alliance for Improved Nutrition (GAIN) where she was also part of the executive team. 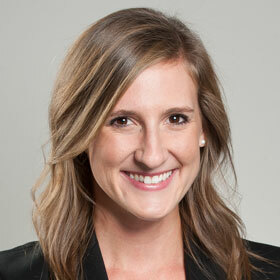 Prior to working at GAIN, Kreis led the nutrition team at the Bill & Melinda Gates Foundation. She also served as a foreign service officer with the US Agency for International Development (USAID) working in a number of countries including Bolivia, Cambodia, and the Dominican Republic. Kreis has held a number of positions on international advisory groups including the World Economic Forum, the Micronutrient Forum Steering Committee, and several WHO steering committees. She holds a master’s of public health dual degree in international health and epidemiology from the University of Michigan. 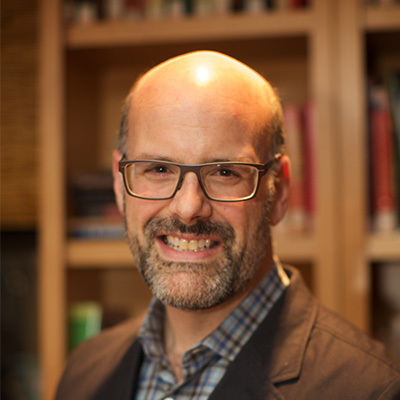 Gawain Kripke is the director of policy and research at Oxfam America and has more than 20 years of experience working in public policy and advocacy. He oversees Oxfam's policy and deep engagement on a range of issues relevant to ending poverty and promoting international development, including the effectiveness of foreign aid, climate change impacts, trade and agriculture, humanitarian response, refugees, and migration. 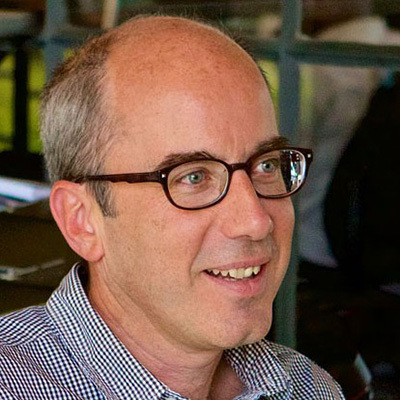 Kripke has authored Oxfam papers on food security, food aid, and international trade. He is a frequent commentator on foreign aid, human rights, humanitarian issues, and agricultural policies in major news media, including The New York Times, CNN, NPR, BBC World News, and Marketplace. He has testified before Congressional committees on US trade policy, US food security policy, and US biofuels policy. Before joining Oxfam, he served as director of economic programs for the environmental organization Friends of the Earth. Kripke earned a BA in government from Harvard College. 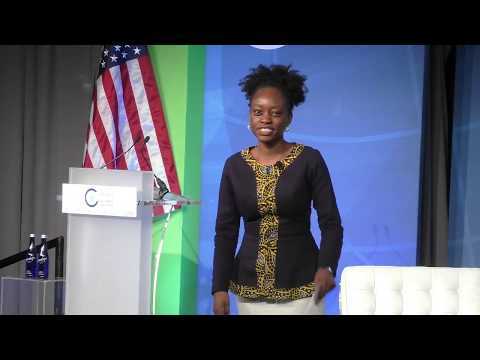 Linda Kwamboka is helping smallholder farmers move into commercial farming by leveraging available mobile technology in order to provide needed real-time information and incentivize collective action. Through M-Farm’s technology platform, farmers are linked to markets and access an ecosystem of knowledge exchange, aggregation, and opportunity spotting that shifts them into productive commercial farming. This creates a path out of poverty for these farmers and enables them to meet the growing demands for produce across the region, particularly in urban areas. Pioneered in Kenya, M-Farm is an award-winning platform. As an entrepreneur, Kwamboka has great interest in research and product development through Human Centered Design, as evident in her involvement with the Strathmore iLabAfrica research lab where she is involved in nurturing and mentoring ideas into commercialization. This lab works on concepts such as the Internet of Things in support of agriculture, de-risking, and feeding urban populations. Kwamboka holds a BA in business information technology from Strathmore University. 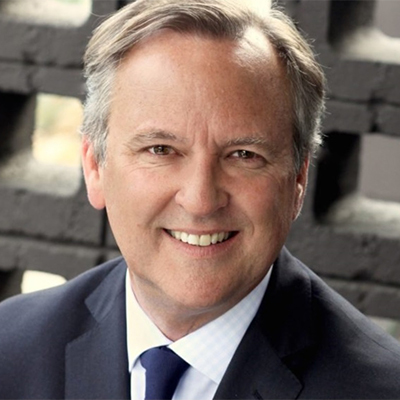 David Lane is president of the Annenberg Foundation Trust at Sunnylands. Over the course of his career, he has been a leader in both nonprofit and governmental sectors, including serving as US representative to the United Nations Agencies in Rome from 2012 until 2016. From 2007 until 2011, Ambassador Lane served as president and CEO of the ONE Campaign, a global advocacy organization focused on extreme poverty, especially issues of global health, economic development, and effective governance. Prior to that, Lane founded and managed the east coast office of the Bill and Melinda Gates Foundation where he shaped and executed the foundation’s strategy and approach to advocacy in areas like global health, poverty alleviation, and education reform. Ambassador Lane holds a BA in political and social thought from the University of Virginia and an MPA from the Woodrow Wilson School of Public and International Affairs at Princeton University. 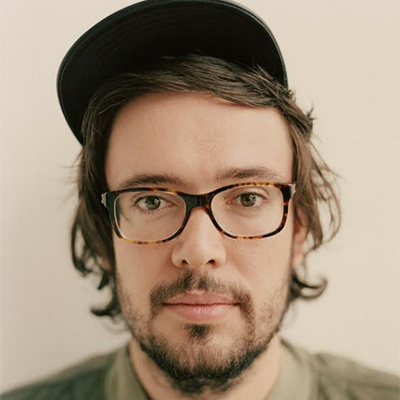 Ben Lovett is a founding member of Mumford & Sons and has now enjoyed nearly a decade in one of the globe’s most successful bands. He has shared most of that time by forming, nurturing, and developing a renowned independent record label and live music promotions company, Communion Music, on both sides of the Atlantic. Lovett is both an entrepreneur and a musician, working as much in the background as he does from the stage. 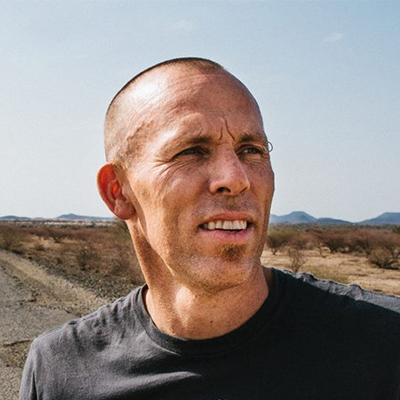 That ethos of communion and community are integral to much of what he does, and that extends to his ongoing association with social action platform Global Citizen. Their tireless work in fighting to bring an end to mass poverty through the power and movement of people is something we should all be supportive of. 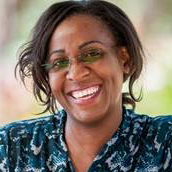 Mercy Lung’aho is a research scientist for the International Center for Tropical Agriculture (CIAT) with expertise in nutrition-sensitive agricultural programming. Her research includes a landmark study documenting evidence that eating beans biofortified with iron can reduce iron deficiency in women of reproductive age. Lung’aho’s current work is on a nutrition early warning system based on innovative machine learning algorithms that will alert decision-makers to nutrition threats ahead of a crisis. The project also focuses on providing options for nutrition interventions and resilience building in national and regional food systems. Lung’aho received her PhD in food science and international nutrition from Cornell University. 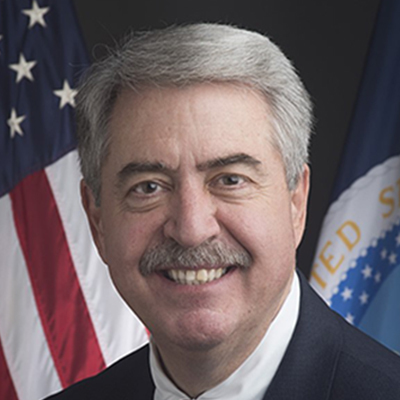 Ted McKinney serves as the US Department of Agriculture (USDA) under secretary for trade and foreign agricultural affairs. Under Secretary McKinney leads the development and implementation of the Department’s trade policy, oversees and facilitates foreign market access, and promotes opportunities for US agriculture through various trade programs and high-level government negotiations. In 2014, McKinney was appointed by then-Governor Mike Pence to serve as director of the Indiana state department of agriculture, a position he held until joining USDA in 2017. His career also included 19 years with Dow AgroSciences and 14 years with Elanco, a subsidiary of Eli Lilly and Company, where he was director of global corporate affairs. His industry and civic involvement has included service on the National FFA convention local organizing committee, Indiana state fair commission, and Purdue college of agriculture dean’s advisory council, as well as on the boards of directors of the International Food Information Council, the US Meat Export Federation, and International Federation of Animal Health. 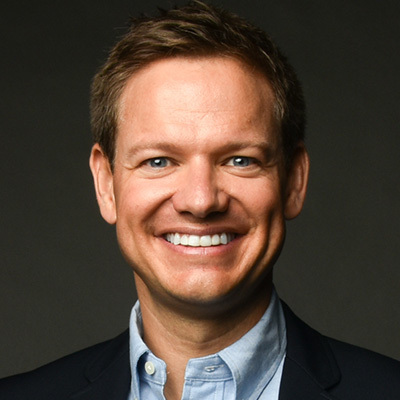 Trent McKnight is the founder of AgriCorps, a nonprofit organization that connects young American agriculture professionals to capacity-building efforts for school-based agricultural education in developing countries. A lifelong rancher and businessman, McKnight has served as national president of the Future Farmers of America, an agriculture advisor to the US Military in Iraq, and an agricultural economist to the United Nations in West Africa. McKnight also worked as an agriculture researcher for the Borlaug Institute of International Agriculture and as a chairman of the USDA Beginning Farmers and Ranchers Committee. In 2013, he founded AgriCorps. McKnight holds a BS and an MS in agricultural economics and comparative politics from Oklahoma State University and the London School of Economics. 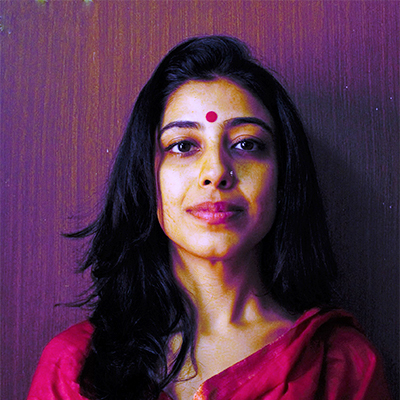 Gouri Mirpuri is passionate about social entrepreneurship, youth empowerment, and environmental sustainability. She has combined these interests in The Learning Farm, a unique residential farm outside Jakarta which teaches organic agriculture and entrepreneurial skills to vulnerable youth in Indonesia. Today, ten years later, this award-winning farm has graduated almost 1000 young agro-entrepreneurs who have returned to sow the “seeds of change” in their communities. 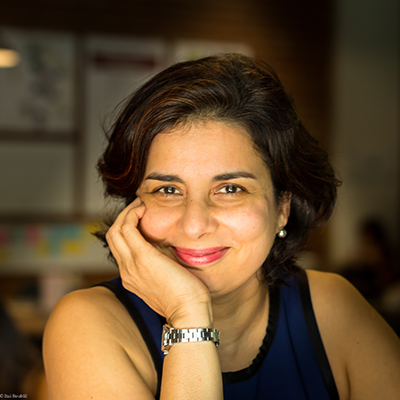 Mirpuri’s experiences and challenges while setting up The Learning Farm led her to also co-found the Impact HUB in Singapore, the first co-working space for social entrepreneurs in South East Asia. The Impact HUB is currently the largest co-work community in the region. Mirpuri lives in Washington DC, although her heart and her life’s work remain firmly in Asia. 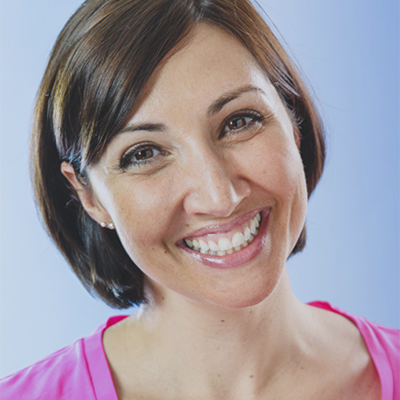 She is a wife, mother of two, and an avid tennis player. Paul Newnham is the coordinator for the Sustainable Development Goal 2 (SDG2) Advocacy Hub, a secretariat incubated by the World Food Programme. The Hub strives to strengthen efforts towards ending hunger by 2030 by uniting the private sector, UN agencies, NGOs, and civil society together. Its most recent work includes collaborating closely with over 130 chefs from 38 countries through online outreach and a series of workshops to create a Chefs’ Manifesto. The manifesto outlines an action plan for tackling food system challenges chefs are most passionate to overcome. Newnham has worked for over 15 years with World Vision Australia, New Zealand, Chile, and the Global Headquarters, and has shaped his career around the belief that it is possible to end global poverty. He has worked in communities throughout Africa, Asia, the Middle East, Europe, and the Americas, to bring about positive, lasting, sustainable change. 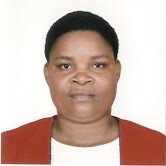 Elizabeth Nsimadala is the regional president of Eastern Africa Farmers Federation (EAFF) and board member of Pan Africa Farmers Organisation (PAFO). Nsimadala has received specialized training in agricultural marketing and logistics management for cooperatives, public administration and management, and fruit wine making. She is a successful practicing banana farmer and has trained over 250 farmer groups through the Uganda Cooperative Alliance, the Ministry of Education and Sports, and the Ministry of Trade Industry and Cooperatives. Nsimadala currently serves as secretary in her local cooperative Nyabubare Area Cooperative Enterprise which is one of the best performing cooperatives in Bushenyi district and one of the pioneers in producing banana wine in the country. Nsimadala recieved the Best Established Enterprise award from the Consortium for Enhancing University Responsiveness to Agribusiness Development (CURAD). Nsimadala holds an MS in project planning and management from Ndejje University Uganda. 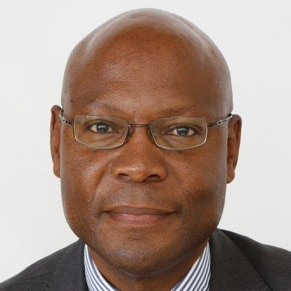 Joseph Ogutu joined Safaricom as chief corporate affairs officer in May 2005 and was appointed director, strategy and innovation division in October 2012. In this role, he works closely with the CEO in formulating strategic direction for the business focusing on developing Safaricom’s position as an industry leader in driving innovation in products and services. Ogutu has had a dynamic career in the telecommunications industry spanning more than 25 years of which the last 12 have been at the executive level. He was actively involved in the reform of the sector, including the drafting of the Postal and Telecommunication Policy Paper. The Paper led to the restructuring of the defunct Kenya Posts and Telecommunications Corporation and subsequent establishment of CCK, Telkom Kenya, and Postal Corporation of Kenya. Ogutu holds a degree in economics from the University of Nairobi. Femi Oke is an international journalist, broadcaster, and moderator. Since the 1980s, she has worked for BBC television and radio, Sky TV, all UK terrestrial television networks, CNN, and US public radio. Oke’s reporting has been recognized by the Economic Community of West African States (ECOWAS), the African Communications Agency, and InterAction. Her unique moderating style is well-known at the United Nations, World Bank, European Union, and numerous NGOs where she regularly serves as a facilitator at high profile events. Marc Oshima is the cofounder and chief marketing officer for AeroFarms, a leading clean-technology company that builds and operates responsible, state-of-the-art indoor vertical farms around the world, helping transform agriculture. A Certified B Corporation, AeroFarms has been recognized by Fast Company as one of the Most Innovative Companies in the World and by Inc. as one of the Top 25 Disruptive Companies. With an extensive marketing background in retail, brand management, and media, Oshima is passionate about increasing access to healthy food and has led the marketing for major food retailers. He is also board co-chair for Chef’s Collaborative, a 25-year old nonprofit focused on making our food systems more sustainable, and a member of the United Fresh Marketing Merchandising Council. Oshima holds a BA from Columbia College and a MBA from Columbia Business School. 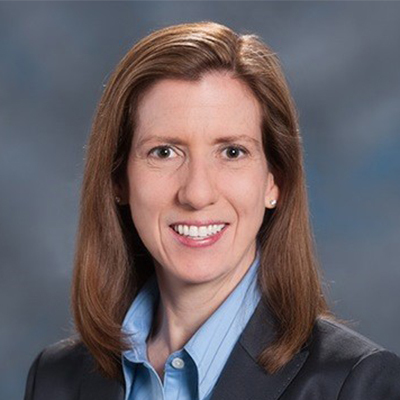 Elizabeth Riordan is the divisional vice president, global supply and dairy operations, Abbott Nutrition Supply Chain. In this role, she is responsible to define, develop, and execute a robust global dairy supply network for Abbott Nutrition (AN) for all brands and plants inclusive of China and India. Additionally, Riordan is responsible for global supply planning and developing long range supply chain capacity and capability strategies. Prior to joining Abbott Nutrition, Riordan held a commercial role in Pharmaceutical Products and various roles in Global Purchasing and Global Engineering. She joined Abbott on the Engineering Professional Development Program. Riordan holds a BS in engineering from the University of Illinois at Urbana-Champaign and an MBA from the Kellogg School at Northwestern University. 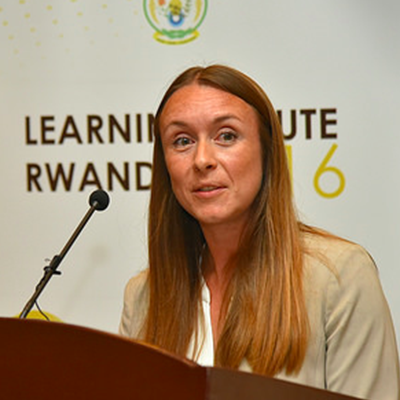 Marie Rumsby is senior manager for food security, hunger, and nutrition at Global Citizen and a steering group member for the Scaling Up Nutrition Civil Society Network. 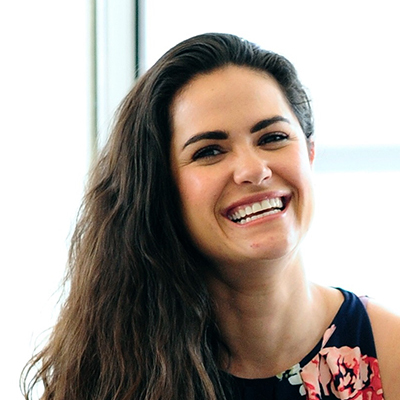 She leads Global Citizen's campaign and advocacy work on hunger and nutrition, with the aim to build a movement of people who care about humanity and are willing to take action to end extreme poverty and hunger. Before joining Global Citizen, Rumsby was head of hunger and nutrition at Save the Children and a senior policy adviser at the Royal Society, the UK's Science Academy. 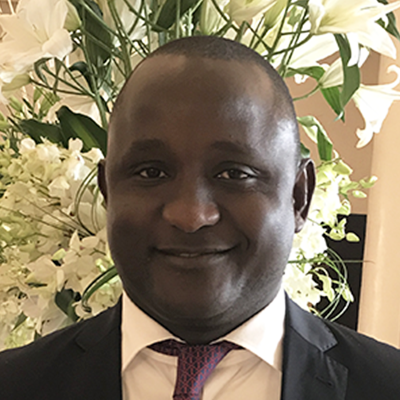 Papa Amadou Sarr serves as delegate general for entrepreneurship for youth and women in the office of the President of the Republic of Senegal. In that capacity, he is in charge of a newly established fund of $50M/year entirely dedicated to promote entrepreneurship and job creation with a particular focus on youth and women. Prior to joining the office of the President, Sarr worked as director general for financial services and competitiveness as well as senior technical advisor at the Ministry of Economy, Finance and Planning. 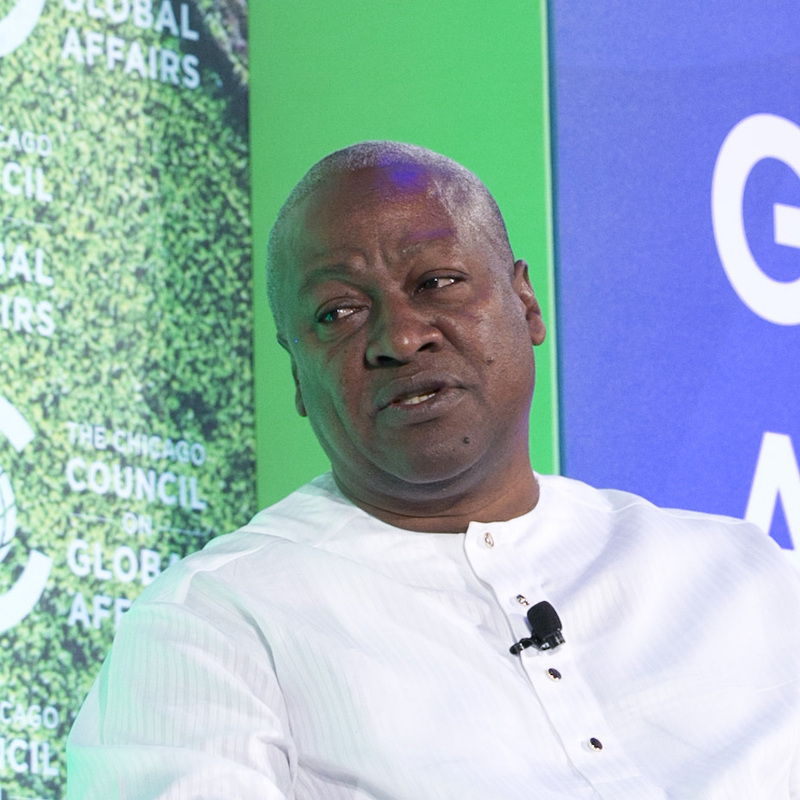 In this capacity, he served as alternate governor for the Republic of Senegal at the African Development Bank, the World Bank, and at the International Monetary Fund. Prior to joining the government of Senegal in 2015, Sarr worked in the US as senior program officer at the Africa Division of the Bill and Melinda Gates Foundation. Parmesh Shah is the global lead for rural livelihoods and agricultural jobs at the World Bank. He also leads the rural livelihood and development cluster in South Asia region of the World Bank and is involved in designing and supporting rural poverty reduction and inclusive growth programs in the region. Prior to this position, Shah worked as coordinator of the Bank wide Community of Practice on "Participation." In this role, he supported development of operational knowledge and learning across the Bank group on community driven development, community participation, participation in development of country-owned poverty reduction strategies, and social accountability mechanisms. 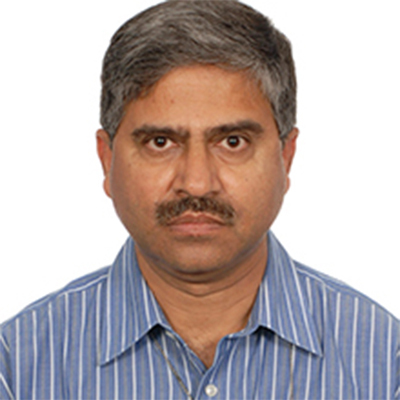 Before joining the Bank, Parmesh worked for governments, civil society organizations, foundations, and other bilateral and multilateral development organizations in Asia and Africa regions in the areas of community driven development, participatory approaches, institutional change, and natural resources management. He holds a DPhil in development studies from the University of Sussex. Jazzmin Sharp is a junior at the Chicago High School for Agricultural Sciences and is part of the Food Science pathway. 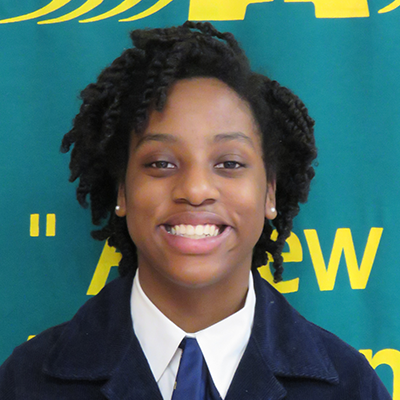 During her high school career, Sharp has demonstrated leadership in activities such as FFA, debate, academic decathlon, Minorities in Agriculture, Natural Resources, and Related Sciences, and the Louder Than a Bomb poetry team. Last autumn, she was selected to attend the Global Youth Institute of the World Food Prize. The institute served to deepen Sharp’s awareness of food security issues. She hopes to continue pursuing solutions for food security and learning how she can make an impact. Upon graduation, Sharp plans to major in politics at a four year university. 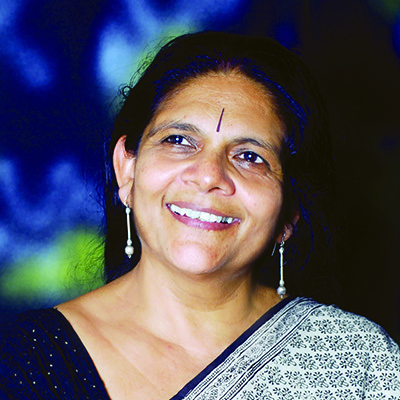 Chetna Sinha is an activist, farmer, and banker. In 1996, she founded the Mann Deshi Foundation in Mhaswad with the aim of economically and socially empowering rural women. In 1997, she set up the Mann Deshi Mahila Sahakari Bank, India’s first bank for rural women. Since its founding, the Bank has acquired 90,000 account holders, manages business of over 150 crores, and regularly creates new financial products to support the needs of female micro-entrepreneurs. Mann Deshi has supported over 400,000 women and plans to reach one million women entrepreneurs by 2022. Sinha was awarded the Forbes “Social Entrepreneurs of the Year” award in November 2017. Sinha served as a cochair of the World Economic Forum in January 2018. Sinha holds an MA in commerce and economics from Mumbai University, India. 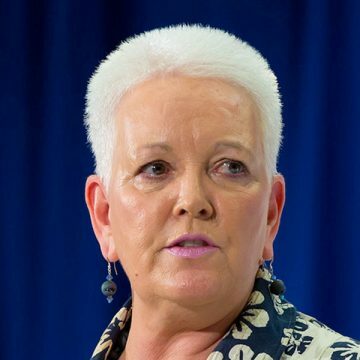 Gayle E. Smith is one of the world’s leading experts on global development. Smith had previously served as special assistant to President Obama and senior director for development and democracy at the National Security Council. She also served as special assistant to President Clinton and senior director for African affairs at the National Security Council. As administrator of the US Agency for International Development, she led a staff of more than 10,000 people working to end extreme poverty, foster sustained and inclusive economic growth, and promote resilient, democratic societies all over the world. 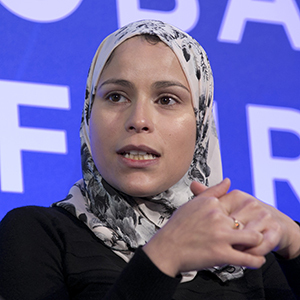 Smith founded the sustainable security program at the Center for American Progress and co-founded the ENOUGH project and the Modernizing Foreign Assistance Network. She has worked as a journalist and with NGOs in Africa for more than 20 years and holds a BA from the University of Colorado. 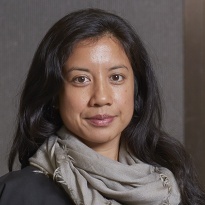 Jocelyn A. Songco joined the Soros Economic Development Fund with the Open Society Economic Advancement Program in 2008. Prior to joining Open Society, Songco worked in reorganization services with Deloitte Financial Advisory Services and as a credit analyst for MBIA Insurance Corp in structured and public finance portfolio management and restructuring roles. Songco also served as a Peace Corps volunteer teaching English in Ethiopia and as a volunteer with the International Rescue Committee in Guinea, working with refugees along the Sierra Leonean and Liberian borders. Other professional experience includes work for the World Bank in Vietnam and the International Finance Corporation in Washington, DC. Songco has a BA in French and psychology from the University of California, Los Angeles, an MBA in finance and economics from Columbia Business School, and an MIA with a concentration in economic and political development from the School of International and Public Affairs at Columbia University. She is a CFA charterholder. 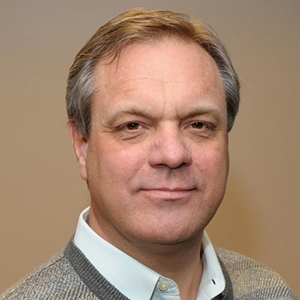 Roger Thurow joined the Chicago Council on Global Affairs as senior fellow on global food and agriculture in January 2010 after three decades at the Wall Street Journal. For 20 years, he was a foreign correspondent based in Europe and Africa. In 2003, he and Journal colleague Scott Kilman wrote a series of stories on famine in Africa that was a finalist for the Pulitzer Prize in International Reporting. Their reporting on humanitarian and development issues was also honored by the United Nations. In 2009, they were awarded Action Against Hunger’s Humanitarian Award. 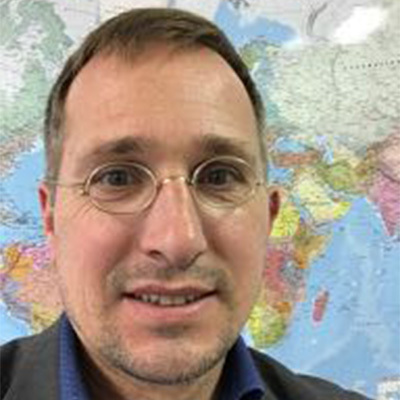 Thurow is an expert on agricultural development and speaks often on high-visibility platforms related to nutrition, hunger, and agriculture in the United States, Europe, and Africa. In 2013, he spoke of the power smallholder farmers in Africa at the TedxChange Seattle event, hosted by Melinda Gates. Thurow graduated from the University of Iowa. Ginya Truitt Nakata is the Latin America region director of lands for The Nature Conservancy. She leads the development and implementation of regional strategies that address systemic barriers to sustainable agricultural production and their impact on habitats critical to long-term growth and the planet's health. 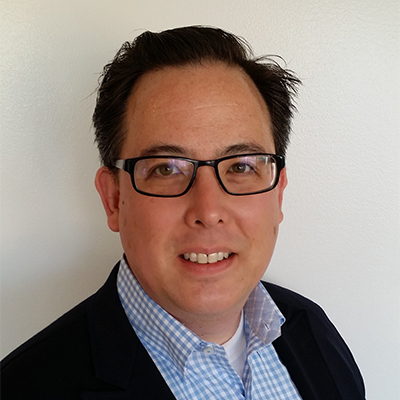 Truitt Nakata has more than 25 years of international development experience in agriculture and food security and is a New Vision for Agriculture Ambassador with the World Economic Forum, an honor extended to 20 senior representatives from around the world. Paul Weisenfeld is the executive vice president for international development at RTI International, an independent nonprofit research institute dedicated to improving the human condition. He leads RTI’s international development practice which designs and implements programs to help lower- and middle-income countries and communities address complex problems. Before joining RTI, Weisenfeld served as a foreign service officer for the United States Agency for International Development (USAID), achieving the highest rank of career minister. Weisenfeld directed USAID’s Bureau for Food Security which leads the Feed the Future initiative. He also led the Haiti Task Team, charged with coordinating relief and reconstruction planning following the devastating earthquake in 2010, and served as USAID mission director in Peru and Zimbabwe. He holds an honorary doctorate in public administration from Monmouth College and a JD from Harvard Law School. 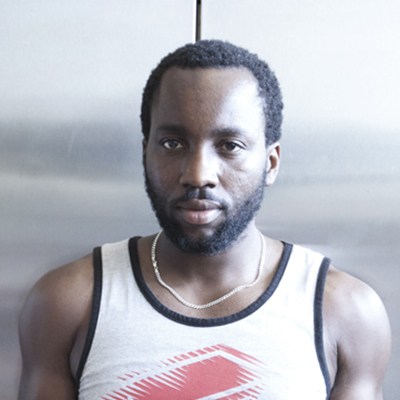 Tunde Wey is a Nigerian immigrant chef/writer working at the intersection of food and social politics. His work engages systems of exploitative power, particularly race, globalism, and imperialism, from the vantage point of the marginalized other. Wey’s food work has been featured in The New York Times, The Washington Post, and NPR. His own writing has been featured in the Boston Globe, Oxford American, and CityLab. Wey also writes a column for the San Francisco Chronicle. 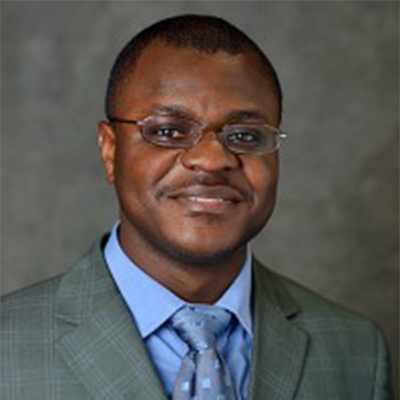 Felix Kwame Yeboah is an assistant professor of international development at Michigan State University. 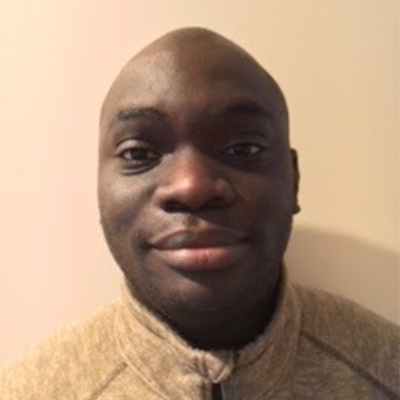 Yeboah has expertise in multiple areas of social policy, including agricultural and food system transformation, natural resource management, and youth livelihood issues in Africa. For the past decade, he has provided critical analysis to inform a range of social policies both in the United States and in Africa. Notably, his research has informed The Mastercard Foundation’s strategies for promoting youth employment in Africa’s agrifood system; the state of Michigan’s effort to reduce nonpoint source pollution in the Great Lakes, and strategic change initiatives advancing solid waste recycling and energy conservation at Michigan State University. More recently, his research was featured in the 2016 Africa’s Agriculture Status Report, a flagship report of the Alliance for a Green Revolution in Africa. 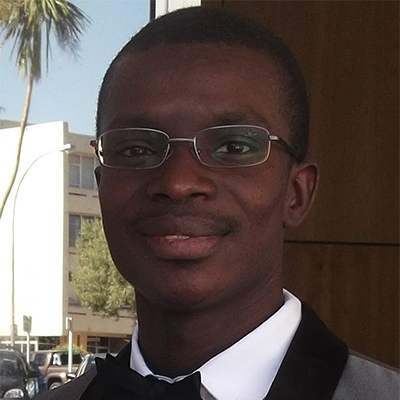 Yeboah holds an MS and a PhD in environmental policy and international development from Michigan State University. Online registration is now closed. We will accept walk-ins on a limited basis on Thursday, March 22. Please note: The symposium will take place as scheduled on March 21-22 and will not be affected by inclement weather expected in the Washington, DC, area. If you experience any difficulty registering online, please call +1 312-726-3860 or email registration@thechicagocouncil.org. For media inquiries, please contact Council director of media strategy Lisa Park (+1 312-821-7519). We are pleased to announce the Next Generation Delegation 2018, comprised of 27 exceptional students from universities throughout the United States and across the globe studying agriculture, food, health, and related disciplines. In addition, we are also pleased to announce our outstanding rapporteurs and social media ambassadors. 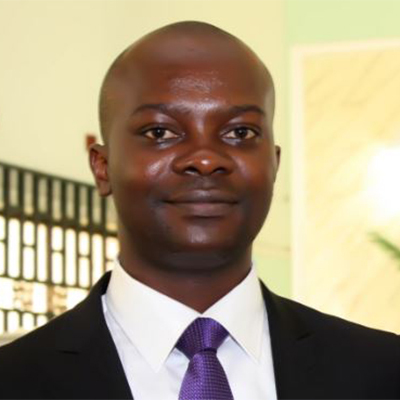 Oyewale Abioye is currently pursuing an MS in entrepreneurship and innovation from the University of Ibadan. Abioye has over five years’ experience working on development projects that focus on improving the livelihoods of smallholders in Sub-Sahara Africa. 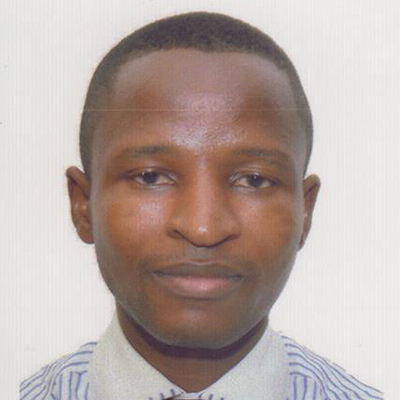 Abioye’s research interests include rural entrepreneurship, agricultural value chain development, and technology adoption. Abioye is a certified project manager and owns an enterprise that processes cassava into flakes. Abioye holds a BS and an MS in economics from Ajayi Crowther University and University of Ibadan. Oyeyemi Ajayi is currently a PhD student in the Department of Environmental and Plant Biology at the Ohio University. He was also among the few people funded by USAID to investigate the molecular basis of climate adaptation in cattle using a functional genomics approach at Cornell University. 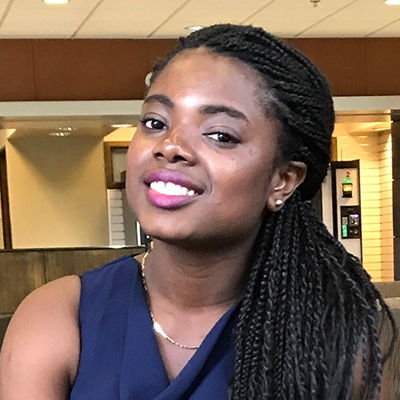 Ajayi currently conducts research in molecular biology, genetics, and biochemistry to address issues relating to the impacts of climate change on agricultural production at the Ohio University. He earned his BS and MS in animal breeding and genetics at the Federal University of Agriculture in Nigeria. 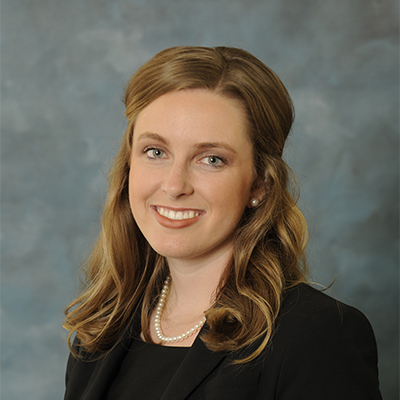 Amie Alexander grew up on a small cattle farm in Waldron, Arkansas, and developed a passion for agriculture through her involvement with the National FFA Organization. While in law school, Alexander worked for the National Agricultural Law Center and the Foreign Agricultural Service in Tokyo, Japan. 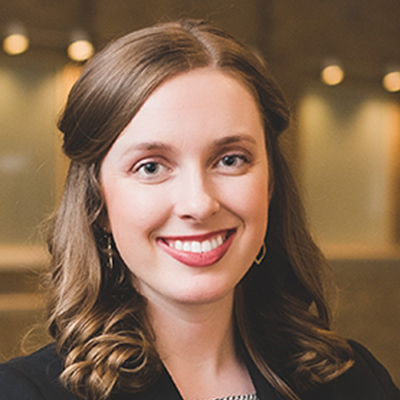 As a student at the University of Arkansas, she worked on the University of Arkansas at Little Rock Law Review, comparing Arkansas’ rural development by electrification to the current struggle for rural broadband deployment. Alexander intends to work in agricultural law, trade, and rural development policy. 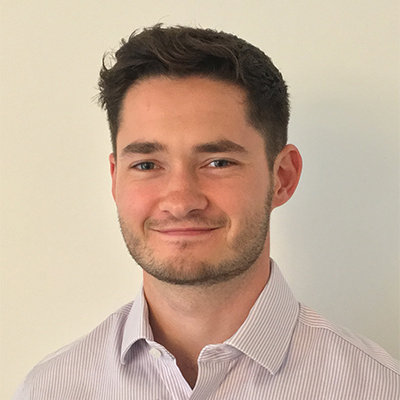 Scott Allan is a postgraduate student at the University of Bath’s Centre for Sustainable Chemical Technologies working towards an integrated MRes and PhD. Following his master’s degree in chemical engineering and experience in the oil and gas industry, he is now actively pursuing research in sustainability. Allan’s research as a fellow for New Harvest focuses on the emerging field of cellular agriculture, specifically cultured meat (also known as clean meat). He is working on the development of a sustainable biotechnology option for food production and security. Emely Lopez Barrera is a PhD candidate in global nutrition at the University of Illinois at Urbana-Champaign. She grew up in El Salvador and later moved to Honduras to pursue her BS in food science at Zamorano University. Barrera is passionate about creating sustainable solutions to global hunger and currently develops nanotechnologies to increase vitamin and mineral absorption in malnourished populations in the Philippines, Saudi Arabia, and Ecuador. She is a member of the Board of Reviewers at the World Food Prize Foundation as well as scientific societies such as Gamma Sigma Delta, IFT, and ASN. 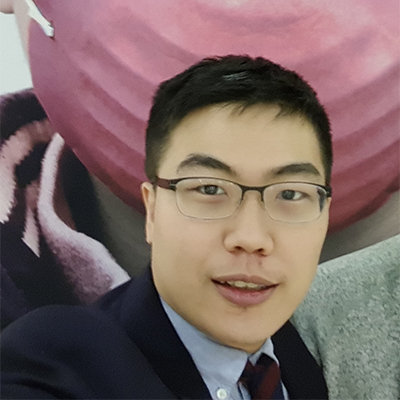 Longwen Chiang graduated with honors in political science from the University of Chicago and is now a graduate student at the Yenching Academy of Peking University. Chiang’s interest in agriculture stemmed from his work as a researcher with the Paulson Institute, where he documented the impact of agricultural run-offs on coastal wetlands and migratory fauna in China. After graduation, he worked for the International Food Policy Research Institute, a Washington-based think tank. While there, he published a book and several papers on sustainable farming, agricultural finance, and climate change adaptation in Asia as part of multinational research teams. 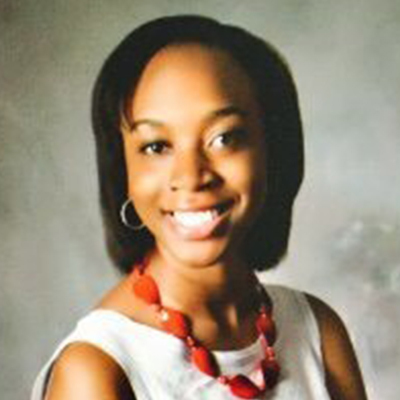 Kinnidy Coley is an undergraduate at North Carolina A&T State University pursuing a BS in animal science. She serves on the executive board of the Animal Science/ Pre-Vet club, Honors Program, and Minorities in Agriculture, Natural Resources, and Related Sciences society (MANRRS). As part of the Animal Science/ Pre-Vet club, she is currently working with other executive board members on coordinating the club’s participation in the American Pre-Veterinary Medical Association National Symposium at Auburn University. Outside of academia, Coley is a member of the Land O’Lakes Global Food Challenge 2017-2018 class and works on finding ways to tackle global food security challenges. Coley is passionate about urban agriculture, animal health, food security, and animal agriculture. Cedric Habiyaremye is a Rwandan plant scientist. He holds an MSc in crop science from Washington State University where he is currently pursuing his PhD in crop science. His PhD research projects focus on agronomic practices of small grains such a quinoa, millet, and food barley. The projects goal is to enhance the nutrition and utilization of novel and sustainable food and farm systems through interdisciplinary approaches including crop diversity, food science, and social anthropology. He is a 2017 World Food Prize Borlaug LEAP Delegate, a 2017 US Borlaug Fellow on Global Food Security, and a Spring 2016 Borlaug LEAP Fellow. 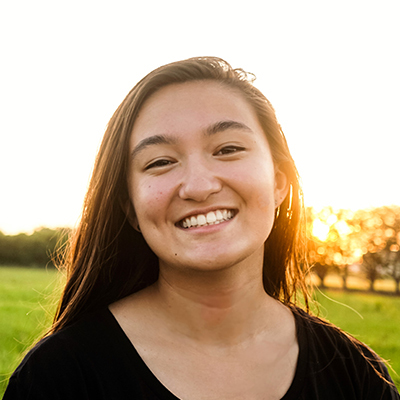 Abigail Han is a junior at Virginia Tech studying crop and soil science with concentrations in genetics and breeding. She is minoring in geospatial information science and global food security and health. Han has worked on Capitol Hill, on an ecological research site in Minnesota, in a youth development program in Mongolia, and at an agricultural research center in Taiwan. Han plans to continue her academic studies at the graduate level and strives to use a systems approach to make food accessible and sustainable for all. 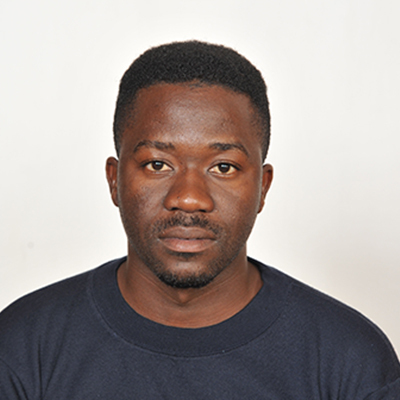 Jones Kanjira is a student at Lilongwe University of Agriculture and Natural Resources in Malawi, pursuing an MS in rural development and extension. His research focuses on the self-employability of technical vocational education and training graduates, particularly in the agricultural sector. Kanjira holds a BS in agriculture with experience in seed production and research having worked as a production officer at Pannar Seed Malawi and as a research assistant for Feed the Future Malawi and International Food Policy and Research Institute. Kanjira is interested in entrepreneurship and youth participation in agriculture along its various value chains. 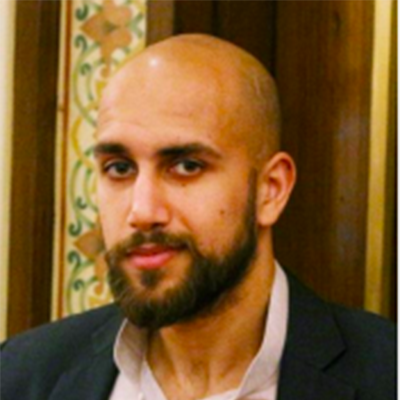 Nausher Khan is a student at Columbia University, currently pursuing his MPA in development practice. Originally from Lahore, Pakistan, he has spent a large portion of his life in Canada before resettling back in Lahore to work in poverty alleviation. Prior to his graduate studies, Khan has worked in the fields of micro-finance, youth development, transgender rights, and education. At Columbia, his focus is on sustainable agriculture and social entrepreneurship with a regional emphasis on South Asia. After his graduation in May 2019, he intends on establishing programs to enhance agricultural efficiency among small-holder farmers, and food security for Pakistani primary-school children. 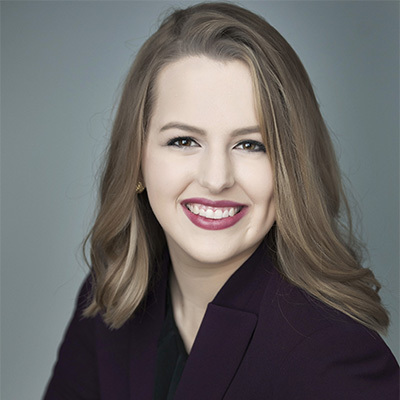 Catherine Leafstedt is a senior at Iowa State University, pursuing degrees in agronomy and global resource systems. Over the past six years, Leafstedt has conducted domestic and international plant science research and regulatory work at DuPont Pioneer, Monsanto, Iowa State University, and the International Potato Center through a World Food Prize internship. Last summer, she interned in West Africa with Context Global Development, working on three Gates Foundation projects to establish seed systems for smallholder farmers. In fall 2018, Leafstedt will be pursuing an MPhil in development studies at the University of Cambridge. Fally Masambuka, is originally from Malawi. She is currently a PhD student at the Ohio State University in the College of Agriculture majoring in agricultural communication with focus on international development and minoring in rural sociology. Her research focuses on the role of agricultural communication on sustainable agricultural development. 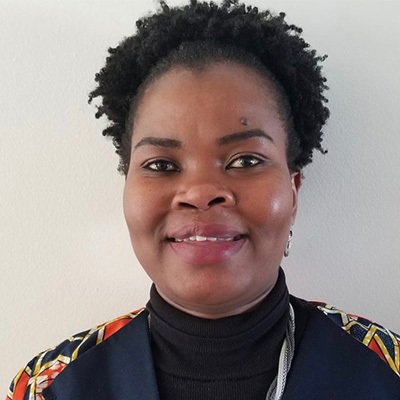 Masambuka worked as the chief agricultural communications officer for the Malawi’s Ministry of Agriculture where she was responsible for coordinating all agricultural communication activities and programs in the country. She holds an MS in agricultural communication from Purdue University and a BS in agricultural extension from Lilongwe University of Agriculture and Natural Resources Management, previously called the Bunda College of Agriculture. 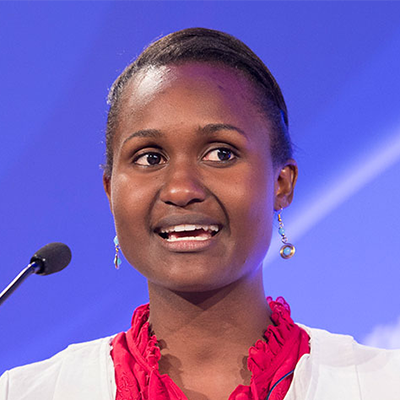 Doreen Mashu is an entrepreneur passionate about realizing Africa’s agricultural potential. After advising clients in West Africa’s agricultural sector, she founded Nufi, a venture aimed at making healthy products more accessible to consumers. Her roots in agriculture were planted at a young age when she helped her mother farm a small piece of rented land to produce food in Zimbabwe where she grew up. Mashu is currently a fellow at MIT’s Sloan School of Management and MIT’s Legatum Center for Development and Entrepreneurship. She is concurrently pursuing a professional certificate from the Institute for Integrative Nutrition in New York. .
Xavier Morgan is studying agriculture communications with a minor in food & environmental systems. While promoting the importance of altruism, he serves in various roles including as a member of the National Student Advisory Team for the Agriculture Future of America organization, senator on the Illinois Student Government, and the cofounder and treasurer of UNIFY, a newly established organization that promotes food security, human livelihood, and sustainable systems. 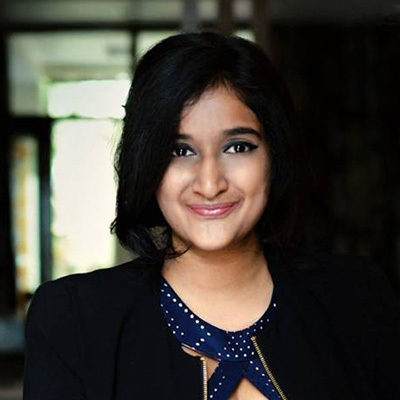 Sarala S. Marusupalli is a third-year law student at Nalsar University of Law and the founder of the education and gender equality NGO, EmpowerLife, based in Hyderabad, India. Morusupalli was nominated as a changemaker at the White House USOW Summit for strongly believing in youth advocacy and for her NGO work. She is presently leading a project aimed at collaborating with the Indian government to address the issue of farmer suicides. The project focuses on crafting better policy and awareness initiatives in India, promoting sustainability and creating job opportunities for women in the agricultural sector. Neeti Nayak is a design engineering student at both the Harvard University School of Design and the School of Engineering and Applied Sciences. Nayak is interested in food systems, art, culture and heritage. Trained as an electrical engineer, she has worked as a missile systems engineer, a strategy development officer in an education NGO, and as a professional dancer. Much of her work has focused on systems and design thinking, data analytics and its application to society and the environment, and geo-spatial analysis. Her yearlong project was a systems approach to integrated agricultural metrics, and sustainable seafood sourcing by large-scale buyers. Tatenda Ndambakuw was born and raised in Harare, Zimbabwe. A previous intern of the USDA, she is the founder of Shiri, a peer-to-peer communication platform and resource hub for African farmers. Her expertise is in app development, data science, and geographical information systems. Having lived through a food shortage of historic proportions in 2008, she is passionate about agriculture, nutrition and food security. Ndambakuw was part of the team that created wi$er, an app that cuts down food waste, and won the coding competition at the Clinton Global Initiative University. She was a 2017 TEDxYouth@RVA speaker, a 2017 Microsoft Grace Hopper Scholarship recipient and is currently a 2018 Imagine Social Good presenter and a member of Women Rewriting the Code Fellowship. 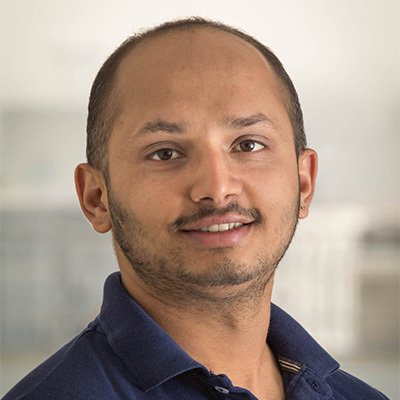 Sulav Paudel is currently a dual title PhD student in entomology and international agriculture and development at Pennsylvania State University. Originally from Nepal, he has worked in a wide variety of professional capacities in the agriculture development sector over the last decade. Paudel is particularly interested in issues regarding sustainable agriculture, integrated pest management, global food security, and international agriculture development. His ongoing research focuses on insect plant interactions in the face of climate change, with a particular emphasis on plant defenses against insect herbivores. Craig Robinson, a PhD candidate at the Australian National University, is examining the role of crisis diplomacy in preventing food price shocks by developing a new crisis diplomacy framework to apply to the 2007-08 food price crisis. Robinson has previously worked on food security for Australia’s Department of Foreign Affairs and Trade, advising on Australia’s engagement in the United Nations, the Group of Twenty and other food security multilateral processes. 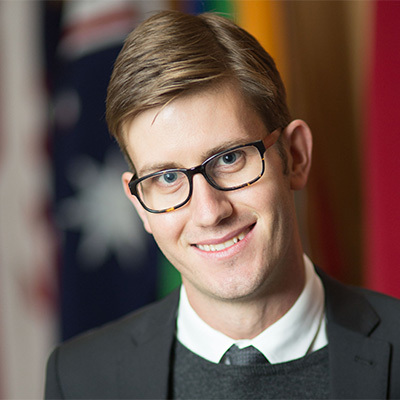 Along with his PhD, Robinson works on Australia’s portfolio of aid for trade investments. Robinson received the Chancellor’s Commendation for a 7.0 GPA and holds an MA in Asia-Pacific studies from Australian National University. Admed Saddam was born in Baghdad. 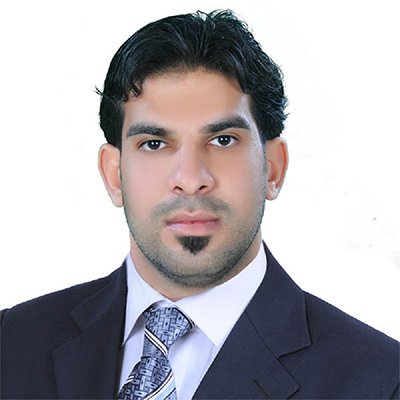 He then went on to study food science, nutrition, and biotechnology at Baghdad University. While working there, Saddam had the opportunity to pursue a graduate degree in functional foods and human nutrition. 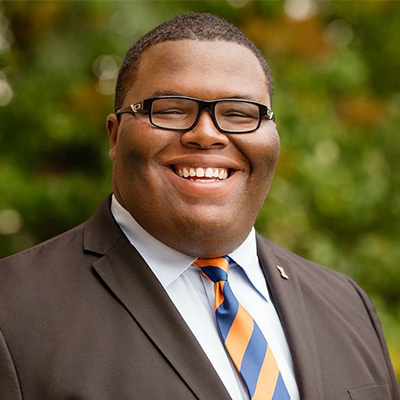 He also is a PhD candidate in food science, nutrition, and health promotion at Mississippi State University with a concentration in nutrition and minor in genetics. 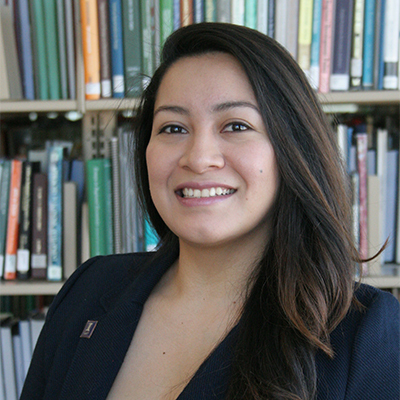 Monica Torres Valencia is an MPP candidate and co-executive director of the Inter-Policy School Summit at the University of Chicago’s Harris School for Public Policy. She is passionate about food systems and wants to revolutionize the landscape of sustainably produced goods in Mexico. Valencia previously worked with the United Nations Environment Program office in Mexico and currently works on the development of a social enterprise that aims to connect sustainable rural producers in Mexico with consumers interested in ethical and environmentally produced goods. She also interns with the Chicago-based organization Fresh Taste, where she works on a cultural value chains project for Latino communities in the greater Chicagoland area. 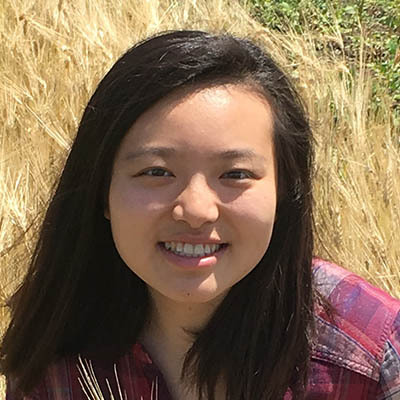 Becatien Yao, is a PhD student at Kansas State University in the department of agricultural economics. He is currently working on value-chain enhancement technologies for smallholder farmers, including digital and improved storage technologies, and their link to food security and social well-being. 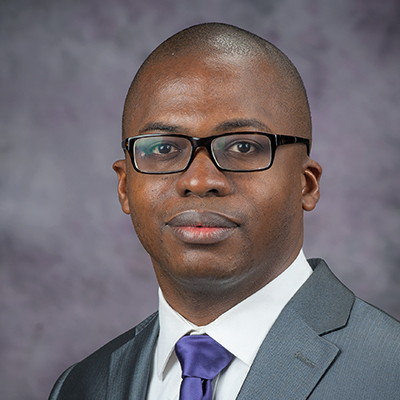 Prior to Kansas State University, Yao has an extensive experience in agricultural marketing and rural development in Cote d’Ivoire. He was a consultant for various institutions including the PACIL/IFAD, where he was involved in the evaluation of the marketing support program. Yao is passionate about digital solutions in agribusiness and believes in innovative and effective food security policies. Millicent Yeboah-Awudzi is a young entrepreneur and a food security activist with a small-scale food-beverage industry that produces healthy, locally-made drinks in Ghana. She received both her BS and MS in Food Science and Technology from the Kwame Nkrumah University of Science and Technology in Kumasi, Ghana. She is currently pursuing her doctoral degree at the Louisiana State University at Baton Rouge, researching hibiscus and its effects on diabetes and cardiovascular diseases. 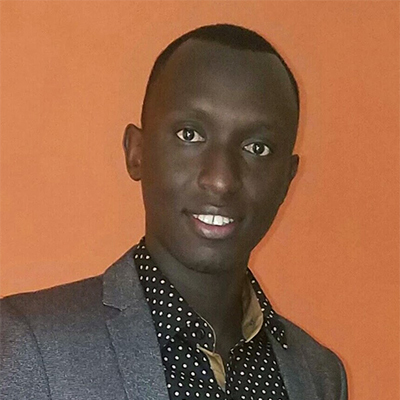 As a Borlaug LEAP fellow, Yeboah-Awudzi’s research focused on food product development, nutrition, and nutraceuticals. Becky Zhong is a PhD student in the Applied Plant Sciences Program at the University of Minnesota. Her research project focuses on the genetics and agronomic management practices of the double cropping system between winter barley and soybean in the Upper Midwest region. Her professional experiences include internships at Crop Life America with Science and Regulatory Affairs and at the North Carolina General Assembly Senate with the Agriculture/Environment/Natural Resources Committee. Zhong received her BS in plant and soil sciences from North Carolina State University, where she discovered a passion for agriculture and crop production. Rapporteurs play an important role by attending pre-symposium working group "Solution Sessions" in Washington, DC, and capturing key themes and outcomes discussed. Social Media Ambassadors play an integral role in supporting the symposium via digital platforms and driving engagement, outreach, and dissemination in the lead-up to the event. Ambassadors will also help to fuel online discussion by live-tweeting throughout the event. The 2017 symposium showcased the best of business, social, and policy innovation. Top visionaries from every sector gathered to generate the productive dialogue and actions necessary to ensure strides in global food security and agricultural development. 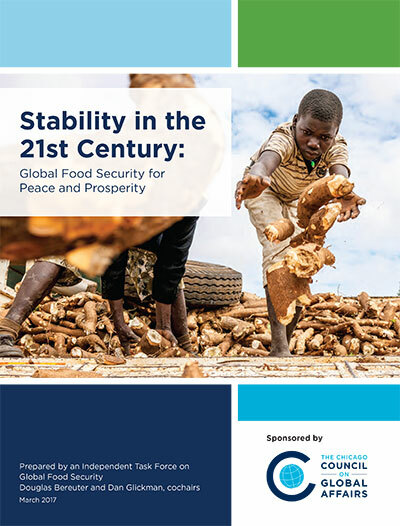 At the symposium, the Council released its recommendations in a report on how US efforts to fight food insecurity around the world can provide increased security and economic vitality at home. The 2016 symposium brought together key multidisciplinary stakeholders to discuss transformations to the global food system necessary to feed growing cities. Participants explored ideas to facilitate business investments and economic opportunities that can benefit small-scale farmers and urban consumers alike. 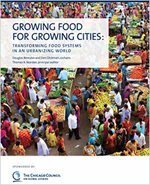 At the symposium, the Council released a major report recommending specific actions that the US government can take to advance food security in an urban world. 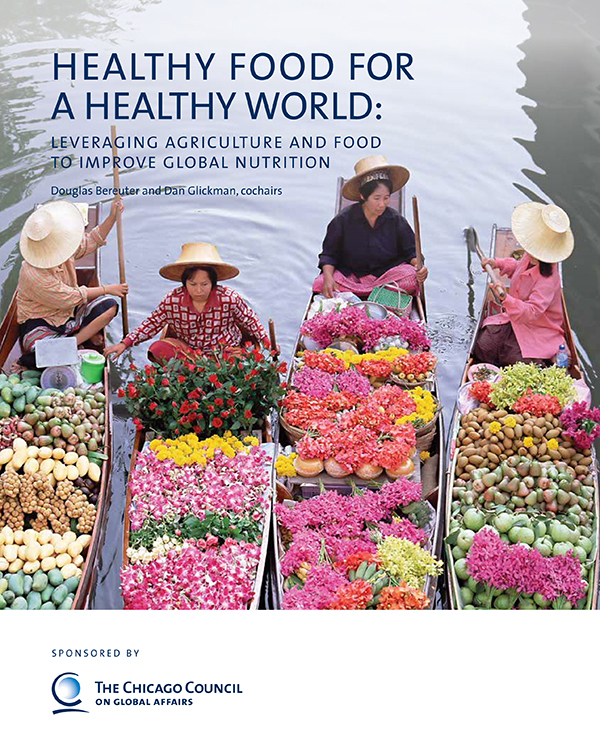 The 2015 symposium addressed food systems for improved health. At the symposium, the Council also released a study recommending ways the US can leverage its research institutions, deploy development and trade tools, and engage with business to improve health and nutrition globally. Global leaders convened at the 2014 symposium to chart a course for how the US government—in partnership with business, civil society, and international organizations—can advance global food security in the face of weather volatility and climate change. The Council also released a report urging US government to integrate climate change adaptation into its global food security strategy. The 2013 symposium convened senior leaders from across sectors to chart a course for how science, trade, and business can be mobilized to advance food and nutrition security. 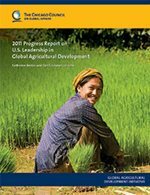 The event featured the release of a new study endorsed by the Global Agricultural Development Advisory Group that defined next steps for the United States on global agricultural development. The 2012 symposium brought together senior global leaders to discuss new G8 efforts on food security and the opportunity and benefits of private sector investment in African agriculture and food sectors. President Barack Obama, Secretary Hillary Rodham Clinton, His Excellency Professor John Evans Atta Mills, His Excellency Jakaya Kikwete, His Excellency Dr. Boni Yayi, His Excellency Meles Zenawi, Bono, and other dignitaries addressed over 700 attendees. 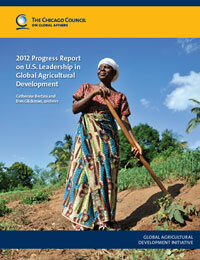 The 2011 symposium evaluated progress on the US government’s global food security strategy and examined how best to overcome potential obstacles to success. The 2010 symposium sought to build and sustain the gathering momentum for change in US food security and agricultural development policy. 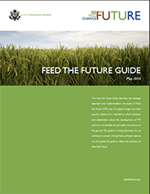 The event featured the release of the Feed the Future Guide, the implementation strategy for the US government’s global hunger and food security initiative. The 2009 symposium saw the release of a Council report that assessed the risks posed by rural poverty and food insecurity in sub-Saharan Africa and South Asia. It endorsed a call to action for the United States government to work with governments and other institutions in those regions to increase agricultural productivity, market access, and incomes for smallholder farmers. 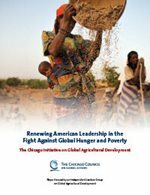 The report was developed and endorsed by a bipartisan group of national leaders with experience and expertise on food and agriculture, development, foreign policy, and international organizations. Climate change is real and the effects are real...Africa has contributed the least to the warming of the planet..but is suffering the most extreme effects of climate change. The people who stay at home, those hardest hit by poverty and climate change, are young women...and they reinvest 90% of their money in their community. We need to have a long term point of view about how we eliminate hunger in the world, and we need to have an immediate ability to respond to crises. Agricultural development and financial product development have gone hand in hand and been inextricably linked to economic development.